This page will post content from the Journal after it is published each year.The AGM is recorded in full in the Journal each year and a bound copy is kept as an archive in the Foresight Centre. The earlier sections have been transferred from the old website thanks to the then Website manager reporting on them. As we now obtain the Journal in an electronic form from now on we will be able to place edited selections into this page and also the Reunion page. In 2017 we moved to a newsletter format. Content from this is recorded in the reunion report and in the relevant sections for awards, reports etc. League Journals are usually ready for mailing by mid July. Because Journals are sent as ‘printed paper, surface mail’, this can take up to 6 weeks before they reach their destination. Royal Mail ‘endeavour’ to deliver within 56 days but security measures may delay delivery in some cases. This obviously makes it impossible for overseas members wishing to attend the Annual Reunion, to receive and return application forms by the deadline date. By airmail. Her address is published at the front of the Journal in the list of Committee Members. As the numbers of overseas members applying to attend the AGM are usually small, the Hon Sec. could reserve tickets before the deadline date, which is usually mid August. These tickets could be paid for at the door, after presenting the confirmation of reservation. Please note: League Members take preference in the allocation of tickets. Non members can always apply for membership forms online, by using the ‘contact’ button, or by mail. At the last ‘official’ meeting of the Nurses’ League Ann Spencer, on behalf of the Nurses’ League, thanked Carolyn, the President for all her hard work over the last few years. Her commitment and vision, as well as her enthusiasm have been evident throughout and she has been an inspiration to us all, during her time as President. Ann also thanked the Committee members for all they have done and particularly in the organisation of the last meeting. As President, Carolyn has kept the League members informed of her links with the Department of Nursing in the University, including updates on the Travel Awards and the Mary Jones & Rebecca Haynes prizes. These will continue to be administered by the University. We have had many interesting speakers at our Reunions over recent years. One memorable speaker was the Lord Lieutenant of Merseyside, Dame Lorna Muirhead, who had trained as a Midwife in Liverpool. The tours of the ‘Old Royal, now the Waterhouse Building, have been a real highlight over the years. How amazing it is to see the way in which the wards have been renovated to accommodate the University departments. The photographs on the Corridor walls were donated by the Nurses’ League several years ago and are greatly admired by so many. The League Journals and the recent Newsletters have meant so much to us over the years. The news of members and the many photographs, as well the website and updates on the League’s archival material have been greatly appreciated. Previous Presidents, Journal Editors and Committee members, should also be remembered for their commitment and dedication over the last 85 years. In the excellent Newsletter, our President, Carolyn reflected in her farewell message everything about the League that we hold dear. This included mention of our training days and the friendships we formed in the early days which have sustained us all throughout the years. 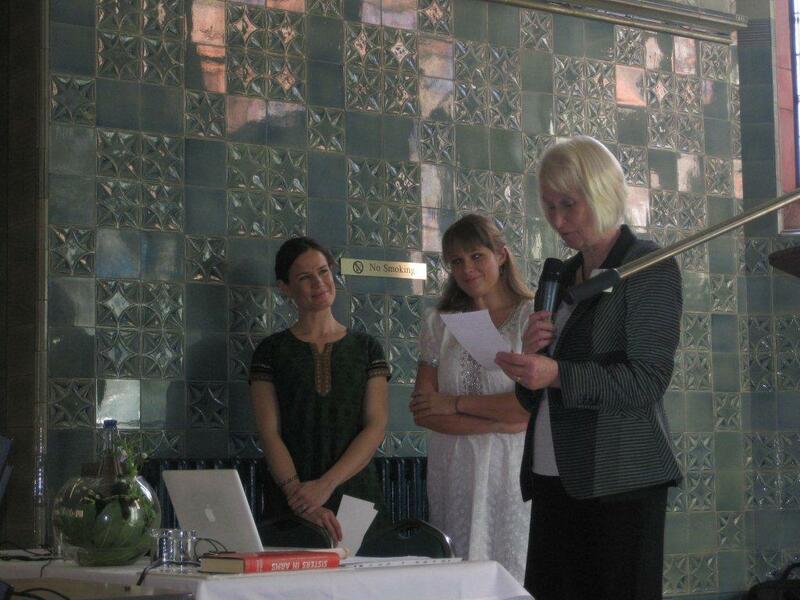 Ann Spencer thanked Carolyn and the Committee again for a highly successful and enjoyable afternoon. It was a truly memorable occasion and an appropriate and fitting end to 85 years of the Nurses’ League. A Farewell Message from the President. Eighty five years ago the Liverpool Royal Infirmary Nurses’ League was founded by the then Matron, Miss Mary Jones. The inaugural meeting was held on the 21st October 1933 and from then on this third Saturday of October became a special day each year for friends from training days at LRI to gather together. The aims of the League were threefold. Under Miss Jones’s leadership the League flourished during the 1930’s and numbers increased annually to 340. She was proud that ‘her children’ went to distant parts of the world to take their skills and knowledge to other Nations, and always expected to hear from them and to see them at the Reunion in October. By 1941, fifty five members were serving at home or abroad in one or other of the Nursing Services, and she herself was Principal Matron of the Eighth Division of the Territorial Nursing Services. Members who were able still attended the Reunion during the war years, and in 1946 what an emotional reunion it must have been, with record attendance of those returning from active service overseas and those who had served the people of Liverpool during extremely difficult times. They were 50 changeable years, firstly with the formation of the United Liverpool Hospitals from the four Voluntary hospitals in the city with the aim of building a single new modern hospital, followed by the introduction of the NHS. Both of these developments were a cause of consternation about the future provision of patient care in Liverpool and their impact on the quality of nurse training. Over the last 35 years, the considerable changes which the delivery of health care and the training of nurses have undergone would never have been anticipated in the first 50 years of the League. 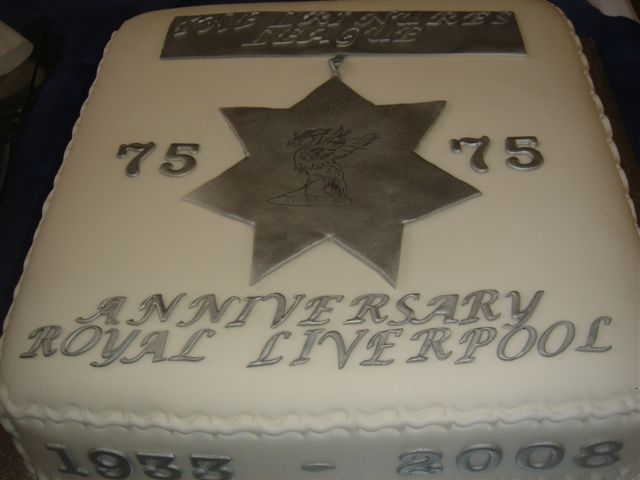 This year, 2018 is a celebratory year for several reasons, as we celebrate 70 years of the National Health Service, 40 years of the Royal Liverpool Hospital and our own 85th anniversary. I am proud that many of our members have followed in the footsteps of our predecessors and have been instrumental in developing and delivering these changes wherever we are living and working. I am also grateful that the original aims of the Nurses’ League have brought immense happiness to hundreds of people who have travelled just to be together on the third Saturday in October each year to meet old friends, to compare notes, and to laugh over old memories of our training days. Thank you Miss Jones for conceiving such a forward thinking idea, and to all the Presidents and Committee members who have followed in her footsteps, to ensure that our special bond of friendship has remained unbroken. This final League Reunion does not represent the end of our friendship, many PTS groups meet together for their own mini reunions, members keep in touch with each other even when living abroad, and this is each member’s personal legacy of belonging to the Nurses’ League. The tangible legacy that we leave to the people of Liverpool is in the items held dear to us which have already been donated to the organisations with which we have developed close links. These include the memorial window unveiled in the LRI Chapel in 1954 which is now in the Chapel of the Royal Liverpool Hospital, and the two chairs purchased and donated by the League to Liverpool Cathedral in 1982. Liverpool Medical Institute and the Liverpool Records Office have bound copies of our Journals which will be brought up to the present date as we close, and our other documents of historical interest will also be added for future safekeeping. Links with the Department of Nursing at Liverpool University will remain as it continues to administer and present the Rebecca Haynes and Mary Jones Awards for nurses in training, and the post –graduate Travel Award in the League’s name. The Foresight Centre has a display of prints of the LRI and of badges and pincushions kindly donated by members as a reminder of our past and its history. The Nightingale Lamp rescued by Miss Yule as LRI closed, will be given to the Chief Nurse at the Royal Liverpool Hospital as a reminder of the link nursing in Liverpool will always have with Florence Nightingale as she sent her best nurse, Agnes Jones from St Thomas Hospital to be its first Training Superintendent, and later advised in the design of the wards as LRI was built. Finally, after much thought, the Committee has made the decision that the Harkness Grave in Allerton Cemetery should close at the end of this year. It has not been used since 1986 and will continue to be maintained by the City Council, a memorial to two old and respected members, Miss Harkness and Miss Poueits. I am proud to have served as President of the Nurses’ League for the last six years, and for me this is a year of mixed emotions as we produce our final newsletter and hold our last Annual Reunion in the Foresight Centre. A time of sadness as we come to the end of an era and I reflect on all that the League has meant to each of us and our predecessors, but also a time to give thanks that our wonderful training at LRI has enabled us to have a positive influence on future generations of nurses. As I sit here, in my spare bedroom which is quiet and I can overlook my Mock Orange Bush which is full of blossom, I realise this is the last newsletter I will write. I have thought about those aims of Miss Jones in starting the League and how they have stood the test of time. I have been looking back at some of the war-time journals and have been incredibly amazed at the courage of those young women serving in action. Then I read some of the letters written to Miss Jones and her colleagues back in Liverpool. They all start” My Dear Matron” and end with sending their sincere regards to many of the Sisters and Nurses that we know. Miss Jones you definitely kept us in touch with our Training School, we have formed a bond and we remember the honour and dignity of our profession. I was very emotional regarding the contents of those letters and have included one as I wanted to have something special in this final document to sum up our feelings towards the Liverpool Royal Infirmary and our fellow nurses. May I also remind you all to ensure that you have cancelled any standing orders or direct debits. The bank accounts will be closed as soon as all outstanding money has been paid to cover the remaining running costs of the reunion etc. Many legacies have been made to the League over the years and if any members have intended to leave such in the future they must re-consider as there will be no one to administer such bequests. I do hope that you all enjoy the newsletter. My best wishes to you all. My thanks go to everyone who has contributed to the contents and to Kingfisher Design and Print for their invaluable help. Our plans for next year include a tour of LRI, which will be a little different to the usual one. Ian Campbell will be able to take us down Memory Lane through the main hospital entrance and up the main corridor to the staircase to see the changes to the ground floor. There will also be a chance to see the rose garden and some of the grounds outside. In addition, we intend to have an exhibition of our archives and artefacts to view before the Annual meeting, prior to them being put into further storage. Our archivist, Val Thornes, has put up a list today of those already stored in the Foresight Centre, and you will see that it includes the annual journals and special commemorative booklets produced throughout the League’s history. Sets of bound journals are already in the Liverpool Records Office and Liverpool Medical Institute, and we intend to make sure that these sets are up to date by using the ones in the Foresight Centre to fill in the gaps. Other documents and account books which record our history will also be stored in the Records Office to join the many items already there. Val is in contact with an archivist at the Records Office to see exactly what they can take. We are having talks with Liverpool Museum and the Royal Liverpool Hospital about the miscellaneous items donated by individual members, so that they can be displayed as part of the history of nursing in Liverpool. Chief Nurse Lisa Grant has expressed a wish to set up a history corner in the brand new hospital, and this would be an ideal place to display our items for posterity, somewhere where they could be seen by the hospital staff and the public. The Harkness Grave in Allerton cemetery still has 2 more places, and the deeds are at present with the President. We have made enquiries about the future arrangements for its use, and have been told that as long as there is an authorised signature the grave can be opened if needed. There are no ongoing costs for the upkeep of the grave. There is a possibility that the deeds could be held by the Chief Nurse at RLH or failing that, the Liverpool and Knowsley branch of the RCN has offered to look after them. The future of the website is also ‘work in progress.’ We are actively pursuing the hosting of our historical section and hope that it can be linked to either the University of Liverpool or the Royal Liverpool Hospital websites. The ability to contact the website and leave a message will go, but our photographs and memories will be preserved. If this option is not possible, there are other ways of hosting the site, for which we will need to pay a fee for a set period of time. I can assure you that the League committee is committed to ensuring that all of our history and belongings are preserved appropriately, and we will be able to give you the results of our enquiries at our final Annual Meeting next year. Approximately 95 members were in attendance. The President welcomed everyone to the meeting. – And for all who supported, guided and encouraged us as we learnt and practiced our nursing skills. As we take our annual trip down memory lane we pray for all nurses in training today and for all who dedicate their lives to caring for the sick – either at home, in the community, or in the clinics, hospices, nursing homes and hospitals of this city. We remember the members of our league who have not been able to join us here today – those who live too far away, those who are caring for loved ones, and those who are too sick or infirm to travel. We give thanks for their friendship and ask for your blessing upon them. Lisa began by telling us that she was a Project 2000 Student, this was met with several groans from the audience! She then went on to explain how her own personal experiences as a student nurse and staff nurse at the Royal Liverpool Hospital gave her an immense feeling of pride in her chosen profession. As she progressed through her career she held fast to her ambition to become Director of Nursing but when the post at RLBUH became vacant she did not feel ready to apply. Fortunately she was encouraged to do so and was successful. Lisa took up her post of Chief Nurse in 2014. Two of her targets were to ensure patient safety and have an identifiable standard of care for RLBUH staff. 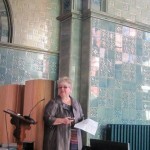 The passion she has, together with her admiration for the LRI League and what it represents, inspired her to develop the Royal Liverpool Hospital Programme to establish a set of standards for the hospital and with the additional aim of invoking a sense of pride and belonging in registered nurses working at RLBUH. The skills-based programme aimed to build on the skills and experience already held by registered nurses and was role-specific, e.g. cardiology, nephrology. The location and date of the first graduation ceremony for successful participants were significant for nurses. The ceremony took place at St Georges Hall (site of the first Liverpool Infirmary) on May 12th (Nurses’ Day) 2015. Graduates received their certificates and were awarded a hospital badge; members of LRI Nurses’ League were present by invitation. Several folk have received Honorary Awards, including members of LRI Nurses’ League. 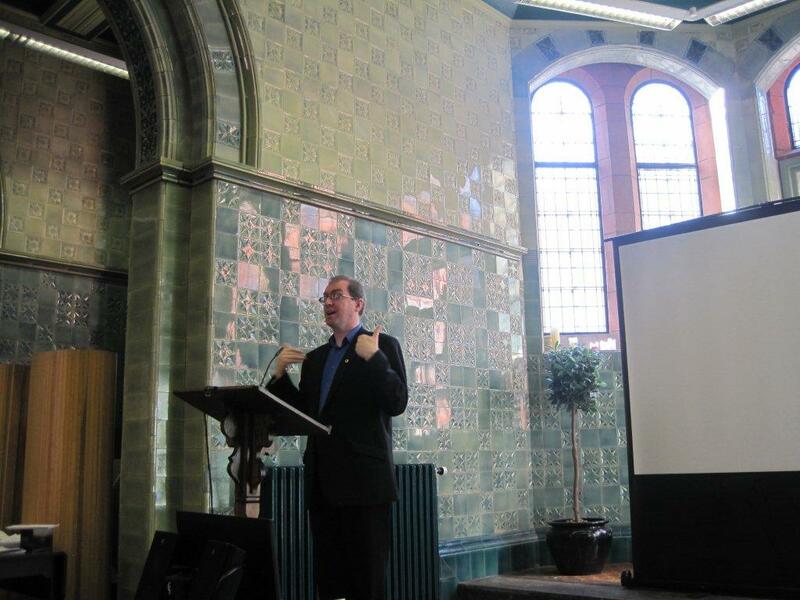 Since its inception the programme has expanded and is supported by Liverpool University. It is now open to all staff working at the hospital and several have been heard to comment that they feel that it helps them to demonstrate to the public what a fantastic job they do. It has also helped them to recognise just how highly skilled they already are and has given them an incentive to ‘do more’. Some measurable benefits to patients have also been noted including fewer cardiac arrests and falls, and the programme is linked to how care will be delivered in the new hospital, due to open in 2018. Lisa showed two short video clips; one about the history of the programme which included a short piece by one of our members, Susie Overill, and an overview of the facilities and plans for how care will be delivered in the new hospital. Mary apologised for omitting ‘Wilson’ from Sheila McQuiston-Wilson’s name in the newsletter. Members were invited to take a moment to remember their friends and colleagues. On a happier note Mary told us that Mrs Rene Robinson will be 100 in November. Membership currently stands at 423. These were agreed to be a correct record and were signed by the President. 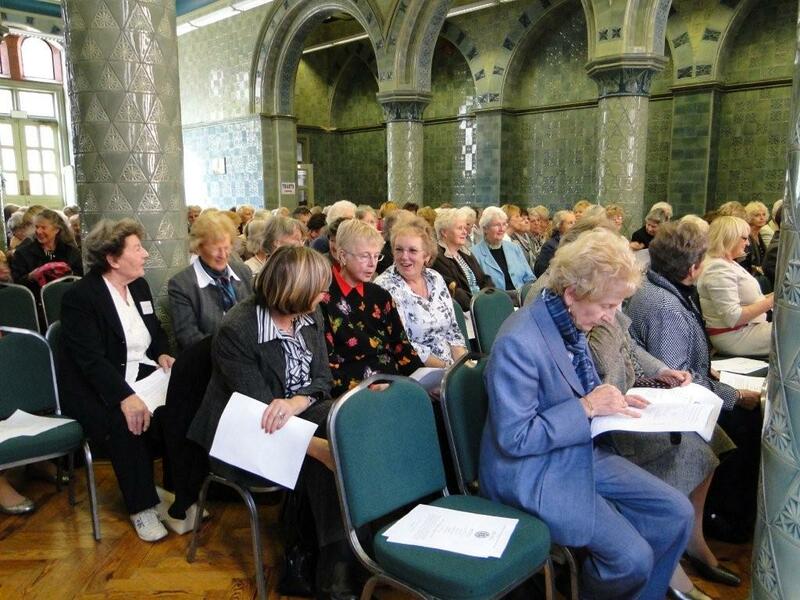 Welcome to our 84th Annual Meeting of the Liverpool Royal Infirmary Nurses’ League. I am delighted that so many of you could come together today to meet in friendship and share memories so dear to us of our time spent training and working in this magnificent building. Just walking into the chapel evokes that feeling of belonging, and it’s a privilege to be part of its history. I am sure you will all have an afternoon of fun; laughing and chatting as you resume ongoing friendships made as student nurses. We remember also our senior members who are unable to travel to be with us today, we know they are with us in spirit. 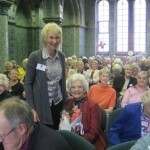 Here I would like us all to think of Dot Williams who for many years organized the Portmeirion reunions. Sadly she is very unwell and is now in a nursing home with her husband Gareth, we have sent flowers and our love to them both this week and have received a message back from her today sending her best wishes to us all. Now onto League news of the past year. We have been included in two more Graduation Ceremonies for staff from RLBUHT at St Georges Hall, where eight more of our members received honorary badges. Other disciplines in the hospital besides nursing are now taking part in the training programme, including dental nurses, allied health professionals, assistant practitioners and HCA’s. It is so good to see that the values taught to us at the old LRI are being instilled into the staff at the new hospital and that all disciplines are being encouraged to maintain a portfolio of their competencies. Once again we were invited to present the two awards sponsored by the Nurses’ League to the student nurses at Liverpool University who attained the highest marks in their first and third year examinations. There were two worthy winners of the Laura Jones Award at the end of the first year sharing equal marks, and the Rebecca Haynes Award at the end of the third year went to Lorna Brooks who incidentally had won the Laura Jones Award previously. Jane Kemp and I enjoyed chatting to the students about their aspirations for the future, and it was encouraging to see their enthusiasm and determination to enjoy their careers, with such different opportunities open to them in a changing world of healthcare. The League Travel Award was also advertised, and we interviewed a research nurse, Amanda Wood, who was the only applicant. 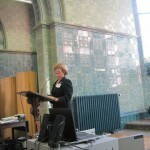 She is employed by Liverpool University and has an honorary research contract at RLBUHT with the orthopaedic department. She has been on several visits to the University of Malaysia with Professor Frostick’s team, and is helping to develop the role of the research nurse there. They have no formal research training and issues such as informed consent and information governance are not considered. Amanda hopes to set up a course to ensure that nurses and medical researchers are properly equipped to perform their role and so improve the patient experience. We considered this to be a worthwhile project and she will report back to us in our newsletter in 2018. At this point, I would like to assure you that all of the Nurses’ League Awards are managed by Liverpool University and will continue to be so after 2018. The Department of Nursing is happy to present the student nurse awards annually at their Graduation Ceremony, and will also advertise and manage the Travel Award biannually. Now a big thank you to Mary Newton for her hard work in producing the colourful newsletter, I hope you all enjoyed the change of format for the Journal this year. We have had some favourable comments on the website and will continue to present it in this way in 2018. We want to send it out earlier next year to enable those living abroad to receive their copy in time to book their flights, so please think about any contributions you may have and send them in to Mary, preferably by email. We would particularly like any memories you have of funny incidents during your time at LRI as we would all appreciate these stories of the people and place we knew so well. Next year’s reunion will be a celebration of our 85 years and we anticipate it will be popular and so priority will be given to members. We are planning to have a two course lunch, followed by a final meeting in the chapel, where we have asked Bishop Tom Williams to talk about his experiences as a hospital chaplain at LRI and at the new ‘Royal’ after 1978. Our plans for next year include a tour of LRI, which will be a little different to the usual one. Ian Campbell will be able to take us down ‘Memory Lane’ through the main hospital entrance and up the main corridor to the staircase to see the changes to the ground floor. There will also be a chance to see the rose garden and some of the grounds outside. In addition, we intend to have an exhibition of our archives and artefacts to view before the Annual meeting, prior to them being put into further storage. Our archivist, Val Thornes, has put up a list today of those already stored in the Foresight Centre, and you will see that it includes the annual journals and special commemorative booklets produced throughout the League’s history. Sets of bound journals are already in the Liverpool Records Office and Liverpool Medical Institute, and we intend to make sure that these sets are up to date by using the ones in the Foresight Centre to fill in the gaps. Other documents and account books which record our history will be stored in the Records Office to join the many items already there. Val is in contact with an archivist at the Records Office to see exactly what they can take. We are having talks with Liverpool Museum and the Royal Liverpool Hospital about the miscellaneous items donated by individual members so that they can be displayed as part of the history of nursing in Liverpool. Chief Nurse Lisa Grant has expressed a wish to set up a history corner in the brand new hospital, and this would be an ideal place to display our items for posterity, somewhere where they could be seen by the hospital staff and the public. The Harkness Grave in Allerton cemetery still has two vacant places and the deeds are at present with me. We have made enquiries about the future arrangements for its use and have been told that as long as there is an authorised signature the grave can be opened if needed. There are no ongoing costs for the upkeep of the grave. There is a possibility that the deeds could be held by the Chief Nurse at RLH or failing that, the Liverpool and Knowsley Branch of the RCN has offered to look after them. The future of the website is also ‘work in progress.’ We are actively pursuing the hosting of our historical section and hope that it can be linked to either the University of Liverpool or the Royal Liverpool Hospital websites. The ability to contact the website and leave a message will go, but our photographs and memories will be preserved. If this option is not possible, there are other ways of hosting the site, for which we will need to pay a fee for a set period of time. Please send any new photos you find to Susie Overill, with an explanation of who they are and where they were taken, we want to be able to preserve as much as possible during the next 12 months. I can assure you that the League Committee is committed to ensuring that all of our history and belongings are preserved appropriately, and we will be able to give you an update on our enquiries in our next newsletter and at our final Annual Meeting next year. As we wind down our finances, a reminder that the membership list is closed from today, 21st October 2017. Most of us pay our annual subscription by direct debit in October and November, and we need to cancel these with the bank after this year’s payment. There will be outgoings during the next 12 months and again we will give you a complete rundown of our financial affairs in the newsletter and at next year’s Annual meeting. A reminder too that we do have a separate Benevolent Fund of £1680 which is there to help any of our members in need, so please let our Treasurer Joy Stanley know if you know of any League member who may benefit from the Fund. In memory of Miss Joyce, her family kindly asked for donations to go to nurses in need or distress and are offering to add these to our benevolent Fund. There is scope to give help wherever it is needed, whether it be equipment or financial support, we want the money to be spent to improve peoples’ lives. I would like to thank all of the committee members for their help and support this year, especially as we look to 2018 as our final year. We are working to a timeline to deal with all of the League’s affairs as sensitively as possible, and we each have our part to play. As I wrote in our newsletter, six committee members, including myself, have completed their terms of office and are willing to stay on for the coming year to ensure the successful completion of the administration of the League. Our newer members are helping to make this happen as smoothly as possible and we are grateful for their assistance. Finally, I would like to thank the staff of the Foresight Centre for looking after us so well this afternoon. There will be the opportunity for members to continue to meet for afternoon tea here in the future by booking directly with the Centre. If you would be happy to use the same date as we have now for our Annual Meeting, then groups of friends could still meet up to keep in touch with each other. If just a small group want to organise a reunion then any date can be booked, and if it is mid-week, a tour of LRI may also be arranged. We have a special bond of friendship which binds us together and will continue to do so. I hope you all have a wonderful afternoon catching up with each other here today. 9 Date & time of next reunion. Saturday 20th October 2018, time to be arranged. As this will be the final reunion of the LRI Nurses’ League there will be a slightly different format; a two-course hot lunch will be served rather than afternoon tea. Invitations will be sent out to overseas members in January so that they can book flights. All members are advised to respond as quickly as possible to their invitations as places may be limited. The meeting ended with a shared reading of the Nurses’ Prayer. This prayer was said every Sunday in the chapel at LRI and is printed below for you to keep. Remember, O Lord, we beseech thee, the work of nurses throughout the world, especially those members, past and present, of this hospital. Grant that their influence, wherever they may be, may uplift mankind to a higher level, and also that their skills, sympathy and patience may alleviate pain and suffering. Guide, we pray Thee, their goings out and their comings in, and foster among them always the spirit of fellowship and love. After the meeting members retired for afternoon tea. Signed as a correct record: ………………………………………………………………………………. 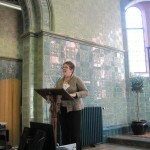 The President welcomed everyone to the meeting and an opening prayer was read by Susan Walker. Good afternoon Madam President, Lord Lieutenant Dame Laura and Members. It is both a privilege and a pleasure to be addressing you today as a committee member in this room; our former chapel and peaceful refuge for time away from the bustle of the hospital. As nurses who trained and worked in this auspicious institution we all have our precious enduring memories. We were gifted the ethics, knowledge and skills of a noble profession which shaped us as people and which we carry with us to this day. My sisters and daughters both remember with humour and affection my instructions on how, among other things, to make a bed correctly! Along with the treasurer, Joy Stanley, I entered the Preliminary Training School in January 1958-When I think of those days it was certainly a very different world to the one in which now nd ourselves. Will you join me in prayer. Compassionate God and Father of all, we are horrified at violence in so many parts of the world. It seems that none are safe and some are terrified. Hold back the hands that kill and maim; turn around the hearts that hate. – peace, that passes our understanding but changes lives, through Jesus Christ our Lord. 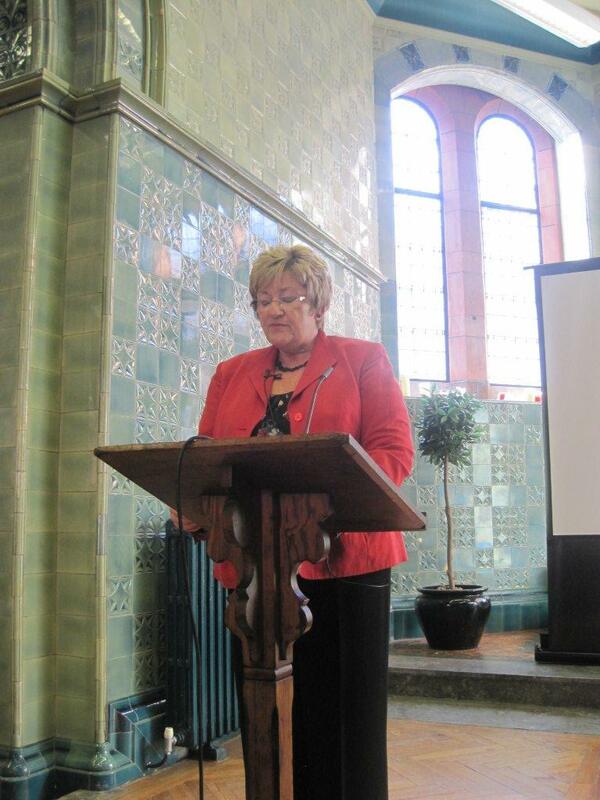 There followed a presentation from the Lord Lieutenant Dame Lorne Muirhead of Mersyside D.B.E. We had a marvellous Reunion this year enhanced in the main by our guest speaker Dame Lorna Muirhead, Lord Lieutenant of Merseyside. What charisma that lady has! From the very beginning of her talk she endeared us to her by referring to herself “as like the posh one on the bike, called “Chummy” in Call the Midwife”. She came to Liverpool for an initial term of two years when she had qualifed as a midwife, accompanied by the tall, dark, handsome Scot who is her husband Ronald. Usually, our speakers talk for about 20 minutes but after 50 minutes we were still wanting her to carry on and many of us were crying with laughter. Dame Lorna has that enviable quality of being able to capture her audience and inform as well as entertain. As President of the Royal College of Midwives she told how she was able to cope with the sometimes patronising attitudes regarding her opinions by telling the gentlemen concerned that she was still a practising midwife and therefore right up to date with current practice. She still is a great ambassador for nursing and had some acute and balanced observations as to the current state of the NHS. Dame Lorna has no hesitation in placing herself in the centre of the joke; we howled at the account of her going first class, with tokens saved from cereal packets, on the train to London, meeting at a large reception with Prince Charles, lunch at Fortnum and Masons with the President of the Royal College of Nurses and meeting up with the tall, dark, handsome Scot at Euston to return home in First Class Style ,only to visit the lavatory and discover she had been wearing her dress on inside out all day – with the size and label showing. It was some time before the laughter stopped and she was able to resume. Dame Lorna has entertained the Queen four times during her tenure and the best story was regarding the Queens request to go around the docks on ‘the Duck’, an amphibious landing craft used as a tourist attraction in Liverpool. The craft sank -but fortunately a week after Her Majesty’s visit. When next meeting the Queen Her Majesty introduced her to the assembled company as the person who had tried to drown her! She spoke of her huge affection for Merseyside since she first came to live here and work at the Maternity Hospital. She was honoured to accept the Lord Lieutenants position and do her best to serve our community. The role entails a very full diary of diverse appointments and Dame Lorna spoke of how much she has learned about the human spirit and how people cope with adversity and the many challenges in life. She retires from her role next year and cannot imagine how she will cope after such a busy and interesting time. I feel that a person of her calibre will never be allowed to retire from public service and there will be a queue at her door to enlist her support for many organisations and projects. We all wish her well in continuing to provide much needed common sense, information and balance to the committees that make decisions on our behalf. Thank you so much, Dame Lorna, for making our reunion unforgettable. Mrs Sheila Jones (nee Owen 1965). Sheila was a previous member of the committee. There have only been two new members in the last twelve months, making our total membership 438. The minutes of the 82nd Annual Reunion, held on Saturday 17th October 2015, were accepted as a correct record and signed by the President. Welcome to the 83rd Annual meeting of the Nurses’ League. It is a real pleasure for me to see so many familiar faces here today, as members come together to share memories of our Training School where we frrst met and began our lifelong friendships. Congratulations to our members celebrating anniversaries from 1966, 61, 56, and 51. Here I would particularly like to mention Ruth Halsall one of our past Presidents, who commenced her nurse training in 1946, 70 years ago. Our very best wishes go to her and to all of our senior members who are now unable to attend. We know you are with us in spirit on this special day. During this past year, we have again been included in events at Liverpool University and at RLBUHT. Two committee members attended the student nurse prize giving in December to meet the first and third year students who received the Rebecca Haynes and Mary Jones Awards, both sponsored by the League. Mary Newton and I met the brand new cohort of 60 student nurses recently to show them a presentation about nursing as it was 50 years ago. This was part of their introduction to nursing practice, ‘reflecting on the past, shaping the future.’ It’s a whole different world for them as they face the challenges of modern healthcare, but we hope that the principles of our training that we could share with them will influence future careers. The Travel Award was re advertised this year, and this time there were three applicants, although unfortunately two of them did not fulfill the criteria for having three years’ experience post qualification and could not be included for selection. Susie Overill and I were part of the interview panel for James Ridley, a lecturer in mental health studies at Edge Hill University. James also still practices in the community within the Cheshire and Wirral NHS Trust, and has extensive knowledge of the framework of supporting people with intellectual disabilities in the UK. He has heard about a new scheme being set up in India whereby local police forces will be trained to safeguard vulnerable people with learning disabilities and their families, and has made contact with a force in northern India to see what training they will have for this role. He hopes to share some of his experiences to help them set up an effective framework of support, and plans to visit next February for 10 days. He gave an interesting and enthusiastic presentation about his career dealing with mental health issues and we feel he is a worthy recipient of the £1500 Travel Award. We were delighted to be included in the two RLBUHT Graduation ceremonies in St Georges Hall, where on each occasion, eight members of the League were presented with an honorary hospital badge in recognition of their contribution to nursing in Liverpool. It was a moving experience and made us proud to be a part of the celebration of the good reputation of nurse training in the city. The committee was asked to provide an inspirational speaker for each occasion, and our reminiscences were well received, but we were careful to ensure that we also focused on the present and acknowledged how modern healthcare relies on the basic skills and on the benefits of the technology available today. The sense of pride in working together inspired by the Chief Nurse, Lisa Grant has been proved in the recent good CQC report for the Trust and we congratulate them in fostering this pride in the hospital. If anybody here today would like to be included in future ceremonies and receive an honorary badge, please give your name to either me or Mary Newton after the tea. Our efforts to increase membership of the League by including anyone who trained at the RLH College until 1990 have been unsuccessful. We have had a few enquiries but none were followed through. However, there is now a Nostalgia Face book page set up by members of the Trust, which has many photos and stories from nurses who trained in the 1980s and 90s. It is proving to be very popular and we have to accept that this is the modern way of communicating and sharing memories. Anyone on Facebook can ask to join the group. My plea for more committee members has been more successful, and I am delighted that following last year’s Annual Reunion Susan Walker joined the committee. Mary Railton- Crowder and Margaret Clabby both responded to offer their help after reading the Journal. 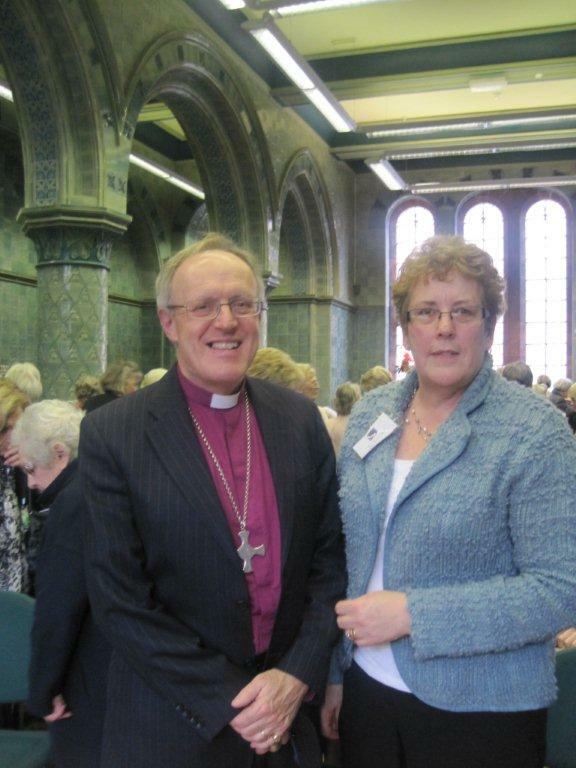 Mary is a former committee member, whose work commitment as a minister in Yorkshire made it difficult to attend meetings. She has now retired to live back on the Wirral, and is willing to serve again. Margaret trained at DLNH and LRI from 1970-73 and worked in the A&E department before going into clinical teaching with the BSc students at Liverpool University and then at LJMU. Thank you to them all for volunteering to help us plan for the future of the Nurses’ League, and of course we still need more new committee members to keep the League viable if it is to continue after 2018, when most of our present members will have finished their terms of office. Already we have reached the end of an era of Welsh Reunions at Port Meirion. Dot Williams has suffered ill health over this last 12 months, and as numbers have declined, our Welsh friends decided to call it a day. They will continue to meet in smaller groups locally, as many of us ‘Royal’ nurses do already. Now it is time to review the future of our Annual meeting and decide how we want to proceed. The committee has already agreed to keep the present format until we celebrate our 85th anniversary in 2018. This could be the chance to have a less formal meeting in the future. I personally feel that the meeting up with old friends is what we enjoy most about the Annual Reunion, and this was the impression that many gave when we sent out the questionnaire 5 years ago. Our numbers are steadily declining as travel becomes difficult for many senior members and this venue is a distance from the city centre for those coming by train. We have been very lucky in getting special rates here at the Foresight Centre for room hire, but still half of the cost of our Annual Reunion goes on hiring the facilities, and half on the cost of tea. A further increase in both is inevitable and we may be able to seek a more favourable price from an alternative venue. I would like to ask how many here today would be prepared to meet at lunchtime at the Adelphi Hotel as our colleagues from DLNH and RSH do. At present the cost of a three course lunch in the Sefton Suite is very similar to what we pay here. We could have the room for the afternoon with plenty of space for people to socialize, and there is the opportunity to arrive early or stay later if they wish. Could I have a show of hands to indicate those in agreement to looking at this alternative please? 32 members out of the 90 present were in agreement. One member also suggested that if the venue was moved, the time of year for the Annual Reunion should be brought forward so that there was more daylight in which to travel. Journal editor. I’m sure you will all agree that she produced an excellent journal, full of interesting and informative articles. Next year we intend to publish an eight page newsletter containing your items of interest, and will post more of the business items on the website. 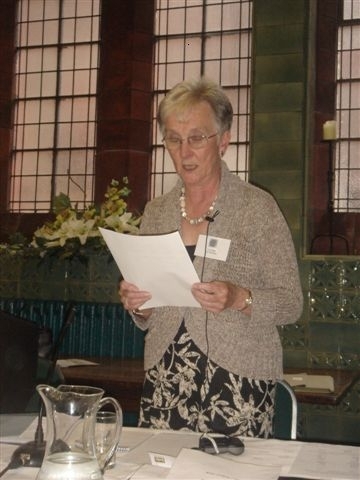 Susie Overill has also been busy, keeping the website supplied with current news about events involving the League, and about Liverpool in general. The message board is proving very useful to those living abroad who are trying to contact friends and of course for organising reunions. The 1966 PTS’s have used it successfully to contact their members for their special 50 year anniversary celebrations. Please keep Susie informed of anything you think may be of interest to other League members and dig out your old photos for our archive section. I am hoping that our new committee members will be able to work alongside Mary and Susie to help with future communications, enabling us all to keep in touch. Finally, as always, we thank the Foresight Staff for their continuing support in allowing us to meet here for our committee meetings and for this Annual Reunion. I wish you all a happy afternoon as you renew old friendships and share your memories of living and working together in this special place. 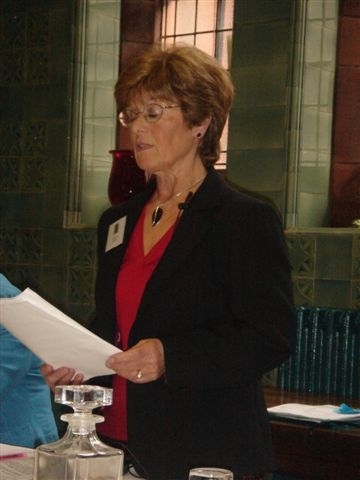 The Memorial Service for Lesley Robertson will be held in the chapel of RLH on Friday 21st October at 3pm. Members are welcome to attend. There are 4 copies for sale at £10 each of the book ‘Captive Memories’ left by Meg Parkes who was our guest speaker last year. Proceeds from the book are helping with ongoing research at the School of Tropical Medicine. RLBG has produced a video of the January Graduation Ceremony at St Georges Hall when the League committee members received their honorary badges. This will be on show in the atrium after tea. As our numbers are less than 100 this year we have not needed to hire an extra room for tea. Tables have been reserved in the main room near to the entrance for those celebrating an anniversary and for our senior members who may wish to sit together. Date of our next Annual Reunion is Saturday 21st October 2017 at 2pm. May we finish by saying the Nurses’ Prayer together. past and present, of this Hospital. Grant that their influence, wherever they maybe, may uplift mankind to a higher level, and also that their skill, sympathy and patience may alleviate pain and suffering. Guide, we pray Thee, their goings out and their comings in and foster among them always the spirit of fellowship and love. The Executive Committee is willing to consider requests for financial assistance, from any League member or former Liverpool Royal Infirmary nurse. Each request will be looked at on an individual basis and funds will be allocated accordingly, asavailable. If you are aware of anyone who would appreciate a gift of owers at times of illness or adverse circumstances, please contact a member of the Committee. All information will remain confidential and be handled with the utmost sensitivity and respect. If married, maiden name. Permanent address. For the account of The travel Award to James Ridley please go to the resume section of the website. Account of a visit to India by Jane Kemp. Last August I visited Girlguiding’s World Centre, Sangam, located in Pune, India, with my daughter Alison to take part in a Community Action Project. I was allocated to Niwara Old Age Home which is a self-sustained trust serving the elderly destitute. Niwara provides a home for 160 and nursing care for about 50 destitute older folk, funding is entirely by donations and the facilities are extremely basic. Once admitted to Niwara, all the services are free of charge for residents and they are looked after in every respect throughout their remaining life. Several of the residents I met had held down a responsible job but became destitute when they became unable to work because of age or infirmity as they had no pension and no family to help them. I went to Niwara with four other leaders and our remit was to interact with the residents and to provide them with companionship and activities. Our task was a real challenge as none of our group spoke Hindi and very few of the residents spoke English. However, a smile, some demonstrations and lots of laughter soon overcame any problems. The volunteer who showed us around asked us to kindly not focus on all the things that could be better, but to consider what good work is being done in spite of the limitations. This was not always easy, but although resources were minimal the care and love were palpable. As I was a nurse I was taken to visit the wards where I found it very difficult not to compare the facilities there to what I was used to in the UK; there is no comparable social or nursing care available in India. Visitors are very few as most of the residents and patients are destitute with no means of support at all. There were two or three qualified nursing staff but the rest of the staff were all untrained and learning ‘on the job’. All the beds were placed long-side against the walls with a bed rail on the other side to stop patients from climbing out and the only chairs available were plastic garden chairs. Each patient had a tiny locker which held their personal items and their own food utensils. I was pleased to be invited to help with lunches but was mortified to find that I couldn’t even do something as basic as help someone to eat; I didn’t know how to feed someone using my hands and there was no cutlery. I found myself in tears when I watched the nursing staff working with absolutely ‘prehistoric’ equipment, but although resources were minimal the care and love were palpable. The days were long and tiring but so rewarding and the residents were all so grateful for us giving our time. It was a really humbling experience to see how they shared what little they had and cared for and respected each other. The President welcomed everyone to the reunion and the introductory prayer was read by Joy Stanley (printed on the inside cover). There then followed a short presentation by Meg Parkes, MPhil, Honorary Research Fellow at Liverpool School of Tropical Medicine. Meg gave a passionate, enthusiastic and moving talk about the subject of her recent book “Captive Memories” which examines medical and nursing facilities in the Japanese POW camps of WWII. She gave examples of some of the innovations and adaptations made by the prisoners to provide health care and showed some footage of interviews with men who had been prisoners. Meg said that she believes that the men who survived only did so because they had the unwavering support of their ‘mates’ in the camps; they literally did anything and everything in order to help each other. She also noted that the research which began in 1945 following release of the prisoners was invaluable in increasing the knowledge and treatment of tropical diseases, and that ex-POWs who are still alive today, aged 90 and over, are still involved in the work. All the money raised from today’s raffle is to go to the research fund at the School of Tropical Medicine, which continues to support these gentlemen. Since the journal was published, sadly, the committee has been informed that several of our members have passed away. May we now take a moment to remember them in our thoughts and prayers. The minutes of the 81st AGM, held on Saturday 18th October 2014, were accepted as a correct record and signed by the President. Welcome to the 82nd Annual Meeting of the Nurses’ League. This weekend marks a special anniversary for my year, as we celebrate 50 years of friendship since commencing our nurse training in 1965, and I we also have friends celebrating from 1960 and 1955. Like everyone here today we meet to share memories with old friends and to enjoy the opportunity to return to the old LRI building where we had so many happy and sometimes sad experiences which have stayed with us ever since. I would particularly like to remember our senior members, many of whom are unable to come to the Reunions now, but their influence as ward sisters and tutors shaped our futures and we cherish their input to our training, and to the life of the hospital. Our oldest member Rene Robinson, shared her memories of student life at LRI in a recent article in the Journal. I am grateful to Mary Tait and her husband for visiting Rene at her home in North Wales and transcribing her remarkable story for us, it made fascinating reading. Rene also had some old documents to show, including her hospital certificate, but unfortunately the quality was not good enough for reprinting in the Journal. Now to the events of this last year. 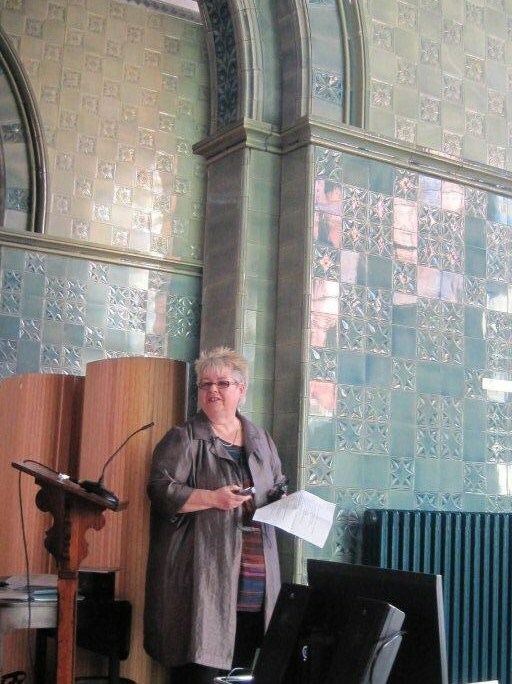 Our links with Liverpool University continue, and once again Mary Newton and I talked to the new cohort of student nurses about our experiences of training 50 years ago. It raises a few eyebrows when we talk about the discipline of living in at Woolton Manor and then the Nurses’ Home, but also gives rise to some interesting discussion about our practical experiences compared to those of students today. 2 Committee members always attend the student nurse prizegiving in the Department of Nursing, and meet the students who received the Rebecca Haynes and Mary Jones Awards, sponsored by the Nurses’ League. We also present the whole group with their University badges as they complete their course of study. This year the Travel Award was advertised but no suitable applications were received. It will be readvertised next year when we hope to have more success in attracting candidates for interview. The RLH is developing a project ‘Recording the Royal’ a living oral and photographic history of RLH and its role in the local community. We have been contacted to provide some photos and possibly for any members who transferred from LRI to RLH to be interviewed about their experiences. By the time the new hospital opens in 2 years’ time, it is hoped to have this exhibition ready for viewing in the corridors of the building. Several Committee members attended the first RLH & BG graduation of nurses in St Georges Hall in May. As you will have seen in the Journal, a newly designed hospital badge featuring the Liver Bird was presented to staff who had completed a programme of skills to show competency in practice. Susie Overill appeared in the introductory video showing our LRI hospital badge. Her pride in our training school was the key to the theme of the day, and Chief Nurse Lisa Grant, spoke with enthusiasm about her wish to foster a similar pride in RLH. It was an inspirational day which gave us hope for the future of nursing in the new hospital. Lisa Grant also recognises the history of excellent nursing in Liverpool, and would like to offer the opportunity to present our Nurses’ League members with an honorary badge in thanks for our contribution to the community of Liverpool. To this end, we will be contacting members, to see who would like to take up the offer. For those of you here today we ask that you see Moira Sargent after the tea if you wish to do so. In June, Dot Williams organised another successful lunch in the lovely setting of the Port Meirion Hotel. Not as many people were able to attend as last year, but there was just as much chatter and reminiscing from those who could be there. Sadly Dot was admitted to hospital recently after suffering a stroke. However she is making good progress and we all wish her well in her recovery. We owe her so much in organising the Port Meirion lunch each year, and as next year’s date is already booked, I hope she can be with us again to just sit back and enjoy the occasion. Now onto the business of the League. Sadly we have had no success in recruiting new committee members, despite making several requests for volunteers via the website and at last year’s Annual Meeting. This year we lose Moira Sargent as Secretary, and next year Mary Newton as Journal Editor, as they complete their respective terms of office. These are 2 key roles without which we cannot run the League as it is now. If no one comes forward in the next 12 months we will have to consider not having a Journal after 2016. We do have the website as an ongoing means of communication, and we will be putting more information on it next year which would normally feature in the Journal about this years Annual Meeting and about the University awards. At our next committee meeting in November we intend to look at the future of the League and how we can function with less committee members to share the work. Any new volunteers would work alongside present members for their first year before taking on a role, there is always support, no-one is expected to step straight into a key job. I urge those of you who live within travelling distance of Liverpool who have some time to give, to please speak to one of the committee members today so that we can plan at least until 2018, when we celebrate 85 years of the Nurses’ League. My sincere thanks go to the present committee members for their dedication to the League. Each of them has played their part in working together as a team to keep the administration of the League running smoothly, which in turn makes my job easier. I’m sure you will all agree that Mary Newton produced another excellent Journal this year, and Susie Overill has kept us informed of the latest news as well as looking at memories and generally overseeing the website. Both of them would love to get more stories and photographs from you to publish during the next 12 months, so get your thinking caps on and let us know what stories you remember best about your life at LRI or since. As I mentioned earlier we say goodbye to Moira today, she has been undertaking secretarial duties for the last 5 years and has been key to organising the Annual Meeting during this period. She has done this so well and always takes the time to talk to our members if they have any queries or need any advice about the Reunion. We will miss you Moira, and hope you enjoy having more time to spend on your other hobbies now that you have retired. Finally I would like to thank the staff of the Foresight Centre for looking after us so well this afternoon, and Ian Campbell for taking the time to show many of us around the Waterhouse building. It only remains for me to wish you all a splendid afternoon catching up with old friends and enjoying being once again in this lovely old building which we think of as home. 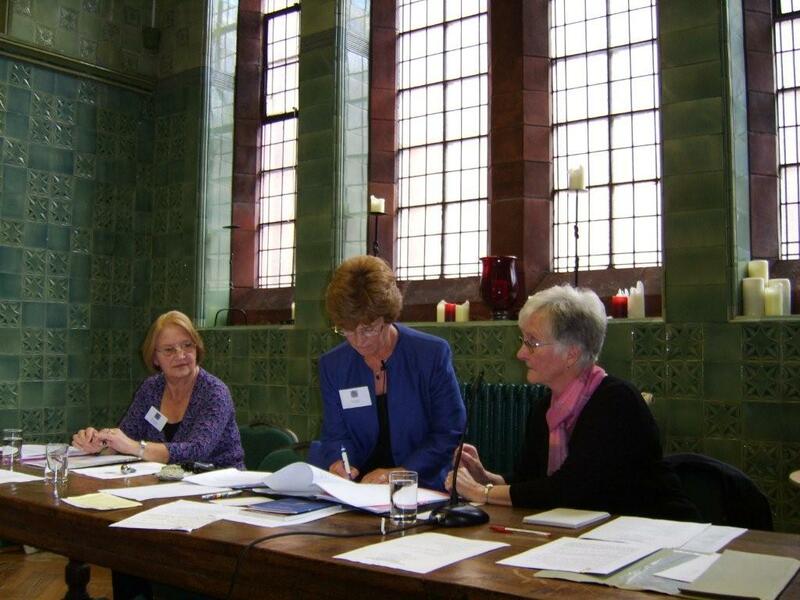 At a recent committee meeting the future of the Nurses’ League in its current form was discussed at length. Within the next two years, the core of committee members will either be approaching or have passed the end of their four year terms of office, and despite requests at the Annual Meeting and on the website for new members to come forward, only one person responded. Without filling the key roles that they perform the League cannot function, and so this is a final heart-felt request to any of our members who can give their time to join us for three meetings per year at the Foresight Centre, to contact either myself or Mary Newton. We value new ideas and opinions and you would work alongside the experienced committee members for the first 12 months in post. The present committee members are prepared to remain in office until the League celebrates its 85th Anniversary in 2018 and then its future is in the balance. Our other big consideration is the future format of the Annual Reunion Meeting, which we made self- financing in 2014 by charging £20 per member. This covers the cost of hiring the rooms and the catering at today’s prices, but if these costs rise any further over the next two years then we need to consider an alternative venue. As our membership declines we want to explore the possibility of either afternoon tea in a city centre hotel or a lunch at the Adelphi Hotel, which is where our friends from RSH and DLNH meet for their reunions. A three course meal would work out at a similar price to what we pay for the Foresight Centre, and the Adelphi is very accessible for Lime Street station and for public transport. Our Welsh members have already made the decision to ‘go out on a high’ as their numbers for the Portmeirion lunch have decreased, and the time has now come for us all to think how we want to proceed. We all want to keep the bond of friendship which is so important to us alive, but how we do this is in your hands. I hope to see many of you at this year’s Annual Reunion where you will get the chance to let us know what you think. Proposal for new League members. At the RLH Graduation Ceremony in May we were talking to several senior staff working at the hospital about the LRI Nurses’ League. They expressed regret that they had not had a chance to join a League as they trained in the later 1980’s after the United Liverpool Hospitals League had disbanded. As President, I would like to propose that anyone who trained at the Royal Liverpool Hospital from 1978 until Project 2000 was introduced in 1990, should be eligible to join our Nurses’ League. This would not only encourage younger members to join us but would also maintain our links with the hospital. A show of hands demonstrated that a majority of those present agreed to this proposal. There being no other business the meeting closed with everyone standing to say the ‘Nurses Prayer’ together. I have been very challenged this year at the escalating cruelties and killings every day in our news bulletins, and what I could or should be doing to help in some way. The World at war or does it just seem so, even the so called lands at peace have children killing each other. We have colleagues who trained in this school in many of these places. There are many fleeing from these atrocities with nowhere to go. I personally remember Sister Eggerton and her stories of times in the war, a scary lady but also a very compassionate and practical person, Ruth Halsall remembers her lovely smile. Coming now from Norfolk, the news has been full of the nurse, Edith Cavell. 100 years since she was shot for helping service men of all nationalities. We have much to be grateful for in our country, this place and our families, is there anything we should be doing? Lord we thank you for this place and all that was taught us and demonstrated to us, the friends we made and the people who led so well. We thank you for that training and the confidence and strength it gave us to manage ALL areas of our lives. We thank you that this place that has been revived and is used for training other young people and care for their medical needs. Thank you for the joy in returning and renewing friendships, we remember those who can no longer join us through ill health or distance to travel, bless and comfort them where ever they are. Lord we ask for other volunteers to join the committee in helping to maintain this wonderful privilege. Lord we thank you for our land at peace but facing difficulties and ask for all our leaders that they may be guided to act wisely, justly and compassionately. We thank you for those who go the extra mile in varied situations especially those who are in dangerous situations, fighting oppressors and disease. We bring the young nurse with secondary infections from Ebola to you, those who care for her and her family to you for your comfort and care. We think of friends we see no more, may they be at peace and in your presence. In 1865 Agnes Jones, was appointed to the post of Lady Superintendent of the Liverpool Brownlow Hill Workhouse Infirmary, the first trained nurse to be appointed to a post in a Workhouse Infirmary in the country. Agnes had undertaken nurse training at the Kasierwerth Institute, Cologne, Germany and then, in 1862, at the Nightingale School at St Thomas’s Hospital London. On completion of her nurse training Agnes took charge of a small hospital in Bolsover Street and then the Great Northern Hospital. In 1862 William Rathbone had successfully developed, with the support of Florence Nightingale, the first district nursing service, and in 1859 the first provincial training school for nurses in Liverpool. As a member of the Committee of the Brownlow Hill Workhouse he was concerned by the terrible social conditions for the inmates in the Liverpool Workhouses. William Rathbone asked Florence Nightingale to recommend a trained nurse to help him improve the conditions in the Liverpool Brownlow Hill Workhouse Infirmary and Miss Nightingale replied that she was sending him her best pupil, Agnes Jones, “who has the vision and the discipline to implement a more effective system of management for the Brownlow Hill Workhouse Infirmary “, but first, Agnes had to ask her mother’s permission to take the post! Agnes was only in post for 6 years before her death from typhus in 1868, contracted while nursing a member of her staff. When she died all the staff and inmates lined the stairs and wept as her coffin was carried out of the Workhouse. The overwhelming grief at her death and the public recognition of her hard work and selfless dedication was demonstrated (in true Victorian tradition) by creation of public memorials to honour her achievements. In the Lady Chapel of the Liverpool Anglican Cathedral, there is a commemorative stained glass window dedicated to the memory of number of Liverpool health pioneers including Agnes Jones. In the village Church of Fahan, County Donegal, where she spent her childhood and is buried, there is a large memorial statue. It was with great interest that I discovered from my research in the Liverpool records office, that a second memorial statue had been erected in her honour and had stood in the Liverpool Workhouse chapel. When the Workhouse was closed, the statue was transferred to Walton Hospital chapel finally ending up in a store room. In 1989 the statue was transferred to the Liverpool Oratory as part of the Liverpool museum collection. This monument is a marble statue representing the angel of the resurrection seated with trumpet. At the base of the statue, is an inscription composed by Florence Nightingale and the Bishop of Derry. It was with great excitement that I waited at the entrance of the Liverpool Oratory, St James Cemetery one very cold and windy January afternoon. The Liverpool Oratory had been undergoing planned renovation so it has taken a little while to arrange an appointment to see the statue. But when the curator opened the doors and I had my first view of ” Work house Angel” Agnes Jones, a massive and imposing memorial, it was worth the wait! Agnes Jones achievements may have been a little overshadowed by those of Florence Nightingale, but as the 150th anniversary of her death in 1866 approaches it is important to consider how we as Liverpool nurses should celebrate her achievements in providing humane professional social care for the poorest in society, but also promoting professional ethical and moral standards in nursing practice. A discussion topic over afternoon tea at the Annual Reunion? The statue can be viewed by appointment with the National Museum and Galleries on Merseyside. The statue is housed in the small Greek style temple ” The Liverpool Oratory ” in the grounds of the Liverpool Anglican Cathedral. I must firstly apologise to Mary Tait for omitting to acknowledge her contribution in the last Journal regarding Rene Robinson. The last year has been a challenging one for the Committee as, although we have recruited one new member, we are still short of help. There is a message in the Journal, from the President on behalf of the Committee, regarding our future. Despite extending our membership during the last year we have only received three new members. My thanks go to all who have contributed this year. As I wrote last year that 2015 was to be probably the penultimate edition of the Journal in this current format then this will be the last year. I will be in discussion with our present printers and the Committee as to the best way forward for next year. If you wish to get in touch with any of the Committee regarding any issues please use your membership number, which is printed on the outside of your envelope. Many thanks go to all the staff at Kingfisher Design and Print for their invaluable help in producing this Journal. The website has developed fairly well over the last year. There has been a noticeable increase in postings on the Message Board from nurses, who may or may not be League Members, trying to get in touch with colleagues for reunions. That is very heartening as we had hoped it would be useful in this way when we were devising the categories. Pat and I continue to add content as we feel appropriate and thank people for their messages and items to post. There have been very few photos supplied despite repeated requests. It is frustrating to think of the many images which must be tucked away in drawers and cases yet could be enjoyed by us all. Many thanks to those who have sent content, we really appreciate it. For the first time we posted some selected content on to the Website from the Journal after it was published and circulated to members. This practice will continue this year but will not be the full content of the Journal. I can only ask yet again for your anecdotes, observations, memorabilia and photos to share on the Website and help make this a fascinating historical resource for those who follow us. After many years of meeting together in local hotels, our Welsh members moved to the Portmeirion Hotel 16 years ago. Several ‘Royal’ nurses from the Wirral and Liverpool have since joined in their annual get together to enjoy the relaxed atmosphere in such a beautiful setting. Sadly, numbers have declined over the last few years as members become older and less able to travel. Dot Williams, who organised the Reunion at the hotel has suffered ill health herself during this last year, and so after consultation amongst friends, the Welsh Reunion at Portmeirion is to end at the request of the members. It is the end of an era, and the League’s sincere thanks go to Eve Price and Olwen Shepherd who started the local ‘get togethers’, and then to Dot Williams for organising the Portmeirion lunches. Dot has cancelled the booking for this year, so please do not try to contact her in June. I am sure that our Welsh friends will continue to meet together in smaller groups locally again as so many of us Royal nurses do. There is a special bond of friendship which will always go on. The president welcomed everyone to this 81st Annual Reunion of the Nurses’ League. Gill was Lead Cancer Nurse at the Royal Liverpool Hospital until March 2014. She now works for the North West Coast Academic Health Science Network. I sincerely apologise to Sarah Wade for not mentioning, at the Reunion, that her mother has passed away. Margaret trained at the Royal and then completed her midwifery training before immigrating to Australia in the sixties. Sarah, who was in the UK to take her mother’s ashes to be interned in Wales, requested to see where her mother had trained and was present at ourReunion. Mrs Vallender nee Hillidge 1933 who was our oldest member and died at the age of 101. Millie had been in a nursing home for a few years but enjoyed receiving her journal which was read to her by her niece. Millie, was very proud of her training school and often like to reminisce. May we now take a moment to remember them in our thoughts and prayers? Welcome to the 81st Annual Reunion of the Nurses’ League. We are privileged to meet here in the chapel of the old Liverpool Royal infirmary where we can share so many memories of our Training School. A warm welcome is extended to those groups who are celebrating special anniversaries, 1949, 1954, 1959, 1964 & 1969, and also to those who have not joined us before. I am sure you will share an afternoon of laughter and friendship as the years fall away and you remember your time together in this wonderful old hospital building. I am pleased to say that this year we have been asked as a League to support events at Liverpool University and at the Liverpool Medical Institution. Because of our links with the School of Nursing, we were invited to have a stall at a student conference involving the whole of Merseyside Region entitled ‘Reflecting on the Past, Shaping the Future.’ Thanks to Pat Shillington, we were able to display some of our wonderful old photographs of life through the years at LRI which generated a lot of interest from young and old alike. 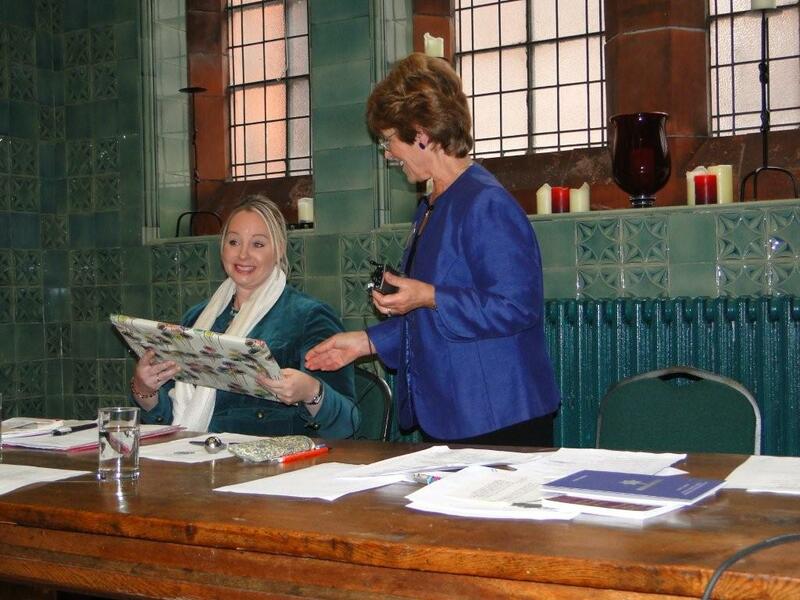 We also managed to sell some more of our commemorative booklets of nurse training in Liverpool. Liverpool Medical Institution held a really interesting 3 day event entitled ‘Then & Now Military Medicine’ to commemorate the start of World War1, which we were asked to support. As well as some topical lectures on aspects of WW1, 208 Field Hospital set up a trench and a dressing station in the car park and demonstrated how things had changed from ‘Blighty to Bastion.’ I hope that some of you who live locally saw the poster and subsequent comments on our website and were able to attend. Becci and Abbie, who were our speakers last year, finished their booklet linking the HIV services in Liverpool between the acute sector and the community. It has been well received by patients and staff, and they created a poster to tell the story of their journey from winning the Travel Award, to going to India and then working with their colleagues to produce the booklet. It was accepted at the National Nurses HIV Conference, and the girls also won an award at the Trust’s ‘Making a Difference’ awards evening at the Echo Arena in Liverpool. They are proud of their achievement and I am delighted that the Nurses’ League played a part in their success by supporting them with the Travel Award. Our current winner is in Australia and we look forward to hearing about her experiences on her return at the end of this year. Once again, huge thanks go to Dot Williams for organising another successful lunch in Port Merion. The weather was kind to us and the setting perfect for meeting old friends and sharing memories. The date has been set for next year already, to maintain this enjoyable tradition. Mary and I were invited to the Royal Southern and David Lewis Northern Nurses’ Reunion at the Adelphi in September. Margaret Park made us very welcome and we realised that there were a number of nurses there who had started their training at LRI and then completed at one of the two other hospitals. On talking to them, their allegiance was to the hospital that they staffed in on completion of training, and that is where we will find it difficult to recruit them to our League. However, we would like to hold a future event where we could get everyone together from all of the United Liverpool Hospitals, and maybe the opening of the new Royal Liverpool Hospital will be the opportunity. The construction of the new hospital is now underway, and the planning team will shortly celebrate 1000 days until it is completed in 2017. Within the hospital there will be 17 wards with 28 beds, and separate wards for haematology, infectious diseases, and critical care. The new emergency department will have 82 single rooms on the lower levels. Now down to the League issues which the committee has addressed since the last Annual Meeting. The Constitution has been amended slightly and appears within the 2014 Journal with the changes included. The main change was suggested as a result of our questionnaire, that reports from the officers will be included in the Journal and not given at the Annual Meeting. I trust you have all had a chance to read the Constitution. I would like to ask for a show of hands to accept the Constitution in its amended form. We have also looked at the issue of data protection and storage of members details. As a ‘not for profit’ organisation, we are bound by certain clauses of the Data Protection Act, and these appear in the Secretary’s report in the Journal. We should only keep information while the individual is a member or as long as necessary for member administration, hence we will no longer keep paper records of members details, they are all on a computer database which is password and firewall protected and will be updated as necessary by the membership secretary. If a member wishes to make contact with another there is a contact facility in the membership section of the website. Alternatively there is a form in the Journal which can be sent to the secretary and she will then make initial contact on your behalf. 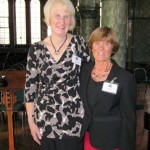 The major review this year has been of the League’s website, which Susie and Pat have undertaken over the last 6 months together with our website host Connect. They have spent hours of work looking through the old site, archiving material that is no longer current, and transferring articles and photos onto the new site. The new layout is bright and clear, and as promised, they have added a message board for anyone to post comments and to place news of PTS reunions or requests to contact long lost friends. Prospective new members can join the League easily by using the membership tab and pressing ‘apply now.’ Her details will go directly to the membership secretary to process immediately. We have a wonderful facility and now we need you to use the website and to send photos and news of League members. Susie will keep you up to date with League news and of events around the Liverpool area, and will send out a regular email to members to remind us to check the site for the latest information. On behalf of us all, I would like to thank Sylvia Lewis for her dedication in setting up and managing the website in 2004, and Pat Shillington and Susie Overill for continuing to manage the site and updating it in 2014. I would also like to thank all of the committee members for their continuing hard work during this last year. Moira Sargent took over the membership secretary’s role in April and now manages the database in addition to her other secretarial duties. She manages the Annual Reunion so efficiently, and we do appreciate her input. To lighten the load a little, Jane Boag Munroe now assists her as minute secretary. Joy Stanley manages our financial affairs so well and has had a busy year looking after our reorganised bank accounts. After merging our business and investment accounts we did receive a better rate of interest than previously, and as ever we are grateful to all those who have donated gifts to increase our income. This year we will cover the cost of the Annual Reunion from the £20 ticket charge so that our bank balance remains healthy. Mary Newton took over as Journal editor and I think you will agree that she produced an excellent journal for 2014. As she said, she had big shoes to fill, and she has proved that she can do this very well. She will be looking out for contributions for 2015 very soon, so if anyone has any ideas please see her after the meeting. I know she would like to have an article about nurses during WW1 & WW2 as next year is the anniversary of the end of WW2. Val Thornes has taken on the important role of archivist and is keen to collate all of the League’s memorabilia and display as much as she can. The prints donated by Olga Fulcher and Lesley Robertson have been put up in the corridor opposite to the Chapel and provide a lasting reminder of the history of our training school. Olga continued as a tutor at the new RLH training school, and Lesley was very much involved with the commissioning of the new hospital until 1978. She was then Director of Nursing until 1985, and ensured that the nurses from all of the feeder hospitals maintained the high standards of care expected from the major Liverpool teaching hospital. 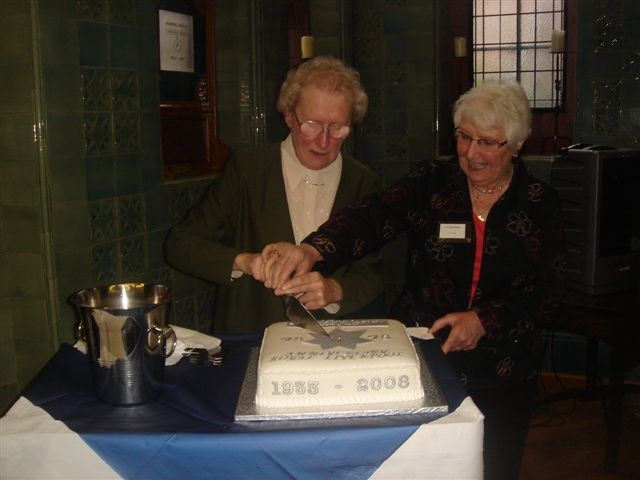 Sadly it is now time to say goodbye to our longest serving committee member, Pat Shillington. 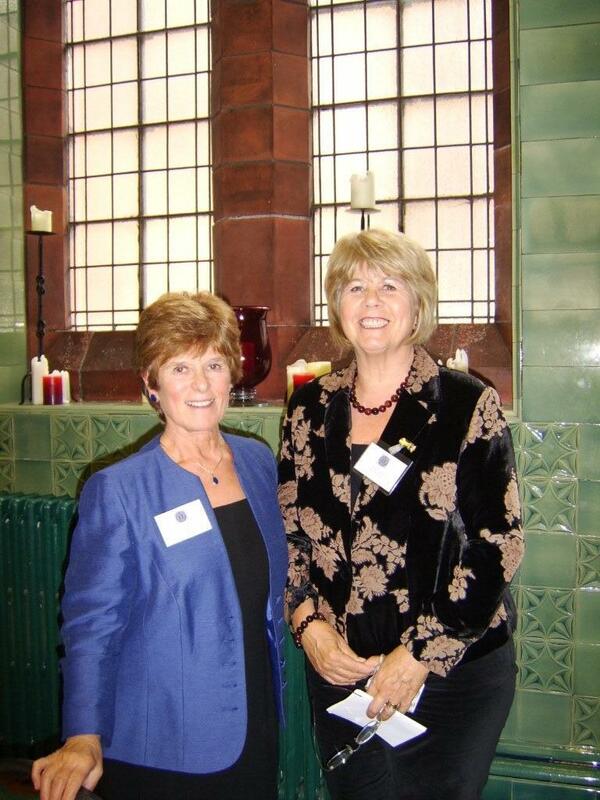 Pat joined the committee in 2004, and very soon became involved with the website, working alongside Sylvia. She took over as website editor in 2010 and has worked quietly in the background, answering email queries and updating the news, as well as providing us with a wonderful selection of photographs. 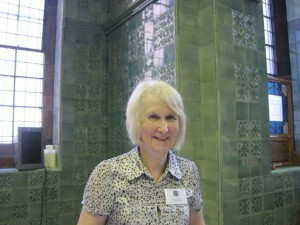 Pat took the lead on the team that produced the pictorial history of the Liverpool Royal Infirmary for 2008, and has a wealth of information about the old photographs collected together and used at the time. For the last 2 years she has been Vice President and has always been there to support me. We will all miss her and hope she now has more time to devote to her other hobbies. Thank you Pat, for being such a great committee member. I now have pleasure in welcoming a new committee member. Mrs Sue Butterworth commenced training in 1963 and worked at the Royal infirmary and Ormskirk hospitals until 1971 before having her family. Since then she has had a varied career as a school nurse, district nurse, and in the private sector before retiring in 2012. Sue volunteered to join our committee and I would like to propose that she becomes an official committee member from November 2014. The committee meets here at the Foresight Centre 3 times a year and we are always looking for new members to share ideas and help with the responsibilities of the different roles within the committee. It is not an onerous task so please consider joining us. Finally, I would like to thank the staff of the Foresight Centre for always making us so welcome and for providing us with excellent facilities. Thank you all for coming today to share this special bond between us, I hope you have a most enjoyable afternoon. A raffle will be held during the afternoon to help towards the cost of the new website. The prize is a framed Liberty Print picture, kindly donated by Sarah Newton. The winner of the picture was Denise Hopper. The raffle raised £117. This year tables will be allocated to larger groups of year members to enable friends to stay together. They will be numbered around the edge of the room, with 2 tables in the middle for anyone to sit at. The Larrinaga room has been reserved for members from years 1949-56. Jean Woods proposed thanks to all those who had the initial thinking and had helped to set up the League’s website. There being no other business the meeting closed with everyone standing and saying the ‘Nurses Prayer’ together. The committee have met 3 times in the previous 12 months, we continue to seek new committee members as and when current members retire and we would welcome the support of anyone who is interested. In the last 12 months there have been 5 new members to the league, 9 members have passed away and today the total number of members stands at 458, 136 of whom are life members. It is very disappointing to report that there have been no new members or enquiries for membership since last November. The number of members attending our reunion has been falling over the last 5 years and we no longer have a waiting list. There are many nurses who trained or partially completed their training at the Royal, before its closure in 1978, who we would welcome as members. Come on Ladies, do not pass on your journal for another to read encourage them to join our league and receive their own journal. Several members complained about the seating at the 2014 reunion, and several asked for individual rooms for their PTS’s. All accommodation used at the Foresight Centre have individual charges and it is the committee responsibility to try to keep the cost as low as possible and that is the reason individual rooms are only booked for anniversaries. If an anniversary group is small we will try to have more than one group in a room. The senior members requested, some years ago, if they could possibly have a room, to themselves, as they had problems hearing and talking over the noise in the large room. For the 2014 reunion one large group, having an anniversary, requested that they stay in the large room rather than have a room to themselves. There were also several PTS’s with large numbers of members attending so the committee agreed that it would be easier to allocate 10 tables, to PTS’s, in the large room. There remained 2 tables, of 10 seats, for anyone who wasn’t part of these large groups or for members who wanted to sit outside their group. On the day, prior to going to tea, members were informed of the seating arrangements and told they could still sit where they wanted. It also thought that having allocated seating would stop the rush, to tea, as in the past we have had to find seating for members who couldn’t get up the stairs quick enough. No decision has yet been made as to the seating for the 2015 Reunion. Drinks will not be provided by the Foresight Centre on arrival as funding will not permit this. I would like to thank the staff from the Foresight Centre for all the help and assistance they have given to me, personally, especially when organising the Reunion and assisting on the day. If any member has any issue with the Reunion please do not hesitate to contact me. Cancer services within England have undergone a transformation in the past 20 years, and Merseyside & Cheshire have been at the forefront in developing and sustaining changes to cancer services so that today our patients can expect to receive high quality care regardless of where they live or the type of cancer they have. With support centrally from the National Cancer Action team, and locally via the Merseyside & Cheshire Cancer Network, care for people with a diagnosis of cancer is no longer seen as a death sentence. Treatments have matured and survival rates are much improved. Cancer is now seen as a long term condition, on a par with other long term conditions such as asthma or diabetes. Today there is greater public awareness of the different types of cancer and their treatments. There are many highly public charities that provide support to people and their families with cancer. Patient pathways have been developed so that patients are able to be diagnosed quickly and receive the best available treatment determined by a team of specialist cancer clinicians. The level of knowledge and skills amongst multidisciplinary teams continues to develop. Patients have opportunities to enter into clinical research trials and to gain benefit from advanced technologies so that they may undergo highly specialist diagnostic and surgical techniques to ensure the best possible outcomes. In Liverpool the Linda McCartney Centre, part of the Royal Liverpool & Broadgreen University Hospitals NHS trust, has become central to the delivery of cancer care and expertise to the local and regional population. Patients with all types of cancer are seen and treated here. Formerly the nurse training school the building has morphed over the past ten years into a specialist cancer centre for cancer services. Facilities include a dedicated out-patient department, a specialist breast unit, a chemotherapy out-patient treatment clinic (delivered by specialist doctors and nurses from Clatterbridge Cancer Centre), access to a team of psychologists and counsellors, and a Macmillan Cancer Information Centre. A more recent development has been the opening of a Cancer Wellbeing Centre which provides aromatherapy and reflexology treatments and will soon offer courses for patients who have completed their cancer treatment and who will be able to access advice and support on moving forward with their lives in recovery from cancer. My main aim for this year has been to familiarise myself with the range and diversity of the contents of the League archives (stored in the Foresight centre) . The material archived by the Liverpool Health Authority ranged from records of the Medical committee meetings (1905 -1919), Ward inpatient registers , OPD appointment records, to the Visitors’ Book for The Preliminary Nurse Training school at Woolton Manor. Due to the confidential nature of some material certain records are sealed and will not be available for a further 50 or 75 years. Items of a non confidential nature or before 1900 are available, and make very interesting reading. The archive material is available for everyone to access and a list of the contents of LRI archive will be available on the notice board at the Annual reunion. 2014 marked 100 year anniversary of the outbreak of hostilities leading to the commencement of World War One. I had hoped to find out about more about the war experiences or roles of LRI trained nurses during the First World War. In the Lady Chapel of the Liverpool Anglican Cathedral there is a Nurses’ Memorial Commemorating 20 nurses who lost their lives on active service in the First World War . The available background information on the 20 named nurses is extremely limited. There is currently an initiative as part of the Commemorative activities related to the First World War to try to find out more about these 20 nurses, but currently none of the nurses listed appear to have been linked to the LRI . In the book Liverpool Royal Infirmary 1887 -1978 , the author Clifford Brewer, identified the difficulties experienced in staffing the hospital (both medical staff and nursing staff ) during the First World War. The medical staff were co -opted to work at the Military hospital at Fazakerley, sixteen sisters and nurses went into the army and four sisters went into the Liverpool Merchants Mobile Hospital . A further eight sisters went into the Admiralty. So a number of Trained nursing staff where involved in caring for injured soldiers or sailors in Military hospitals, on Hospital ships, or on the two wards at LRI used by the War Office. There is very little information available identifying these individual nurses, so I am hoping to locate the roll of Honour that was displayed in the hospital main corridor as a starting point. Can any of the League members remember what happened to the roll of honour or any names listed ? Finally if any one wishes to discuss any topics related to the League archives please do not hesitate to contact me via our web site or speak to me at the Annual reunion. It has been an eventful twelve months with the development and implementation of a new website. We decided to continue our relationship with Connect who had developed and hosted our previous website.It took many weeks of discussion and experimentation before finalising the structure of the new site but judging from the response users find it informative and easy to navigate. Thanks to Pat Shillington’s experience and knowledge of the previous site we were able to incorporate all the relevant content into the new site which was a huge bonus. I still have to sift through 42 pages of content to re-organise or delete material but Pat has thankfully agreed to continue to support me. I am tremendously grateful for her continued assistance and perspective. The website went live on 22nd September and we immediately informed those of you whose email addresses we have. The response was gratifying and we thank those of you who responded. Since then I have sent the occasional prompt to look at the website if we have added new content. Unfortunately email addresses change and unless you notify us of those changes then you cut the possibility of getting communications from us. 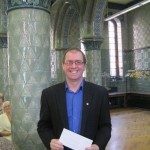 At the reunion I did offer to fund a raffle for a £10 Amazon voucher for those who sent in their email addresses in an attempt to expand our contact group but withdrew the offer when I had a meagre 5 responses. It was discouraging after all the work we had put into developing the site to realise members are not becoming involved in furthering the development of the content by joining in and supplying material. I understand people not wanting to be bombarded with emails but we spent a good sum on the new website and if we don’t want the content to remain stagnant then support is needed. To those of you who have sent us photos and other material thank you so much. Our main success seems to be with the Message Board with posts from non-members also looking to re-establish contact with old friends. This is the heart of our purpose of the League it seems to me so I am gratified that we have a vehicle to enable that. As we remember the Great War 0f 1914-18 one hundred years on, I thought it would be good to take a moment to pay tribute to the often forgotten nurses of that time. They endured bombing and male chauvinism, they witnessed the true horror of war, watching men bleed slowly to death or choke on poison gas. They came from all walks of society but all were devoted to saving British Soldiers lives. Some died in the line of duty and one was even executed by a German firing squad for aiding Allied Troops. Nurses served on all fronts, as well as at home and in France and Flanders. During the Gallipoli landings of 1915, sickness was a bigger enemy than the Turks. Mary Fitzgibbon, a nurse with Queen Alexandra’s Reserve worked on the hospital ship Essequibo where her patients “poured with dysentery”. Heartbreakingly, in an age of primitive medicine, there was little she could do but dispense water and kind words. With a white cap on their head and a Red Cross on their uniform dress, nurses standing beside beds were as much a part of the Great War as the Tommy trudging up to the line with his gun. Kitty Kenyon, a young nurse, attended a dying soldier at Camiers, comforting him with sips of water. There were no painkillers for his dreadful stomach wounds. “You’ve been an angel to me” he told Kitty Kenyon before he died. He spoke for an army of soldiers. When we weaken, because we are human, inspire us on to greater length. If doctors and patients become demanding and days are too short for all our duties, help us remember we chose to serve, to do so with grace and spiritual beauty. In humanity Lord, we labour long hours and though we may sometimes fret, our mission Lord is mercy. 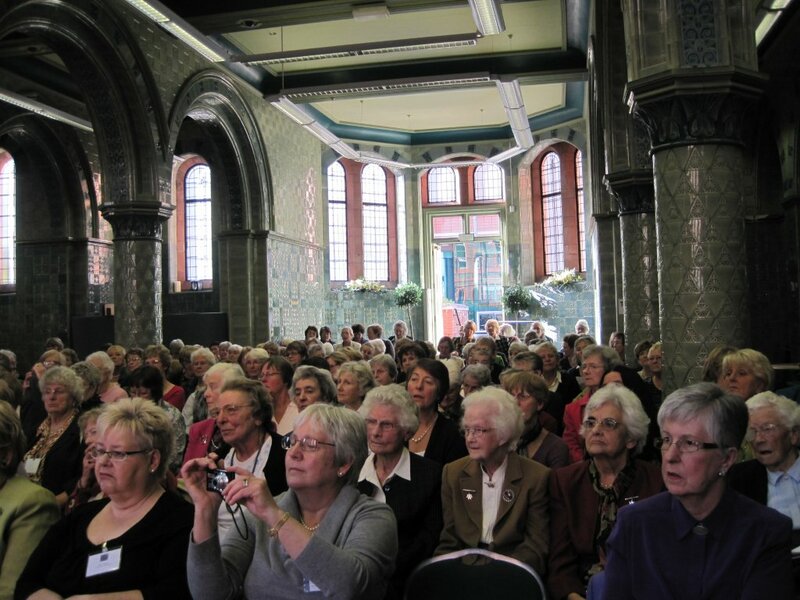 The 80th Annual Reunion of the Liverpool Royal Infirmary Nurses` Training School was held in the old chapel and the foresight centre. 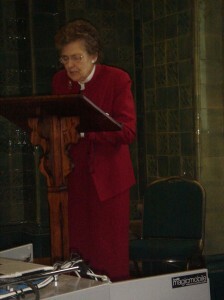 After the President`s welcome, prayers were led by Joy Stanley. Greetings, apologies and obituaries were followed by the report by President Carolyn Rankine. New committee member Jane Boag- Munroe was welcomed to the committee. The meeting closed with the nurses prayer. Members then enjoyed afternoon tea with sandwiches and cakes and a chance to catch up with friends. 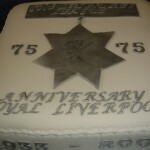 All members were given a cup cake, decorated with 80 in celebration of the anniversary of the league. After tea, members perused the display boards and were given the opportunity to purchase books. 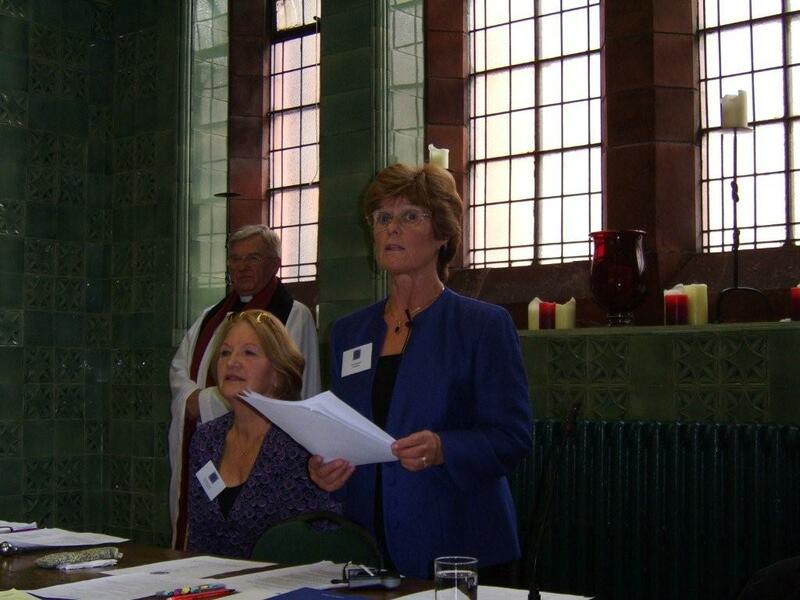 The Annual General Meeting of the Liverpool Royal Infirmary Nurses League was held in the Old Chapel of the LRI on Saturday 20th October 2012. 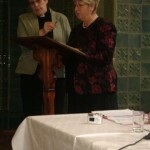 The meeting was opened by President of the League, Ann Spencer who then invited Rev`d Mary Railton-Crowder to lead the Service and The Rt Reverend Richard Blackburn, Bishop of Warrington to address the members. 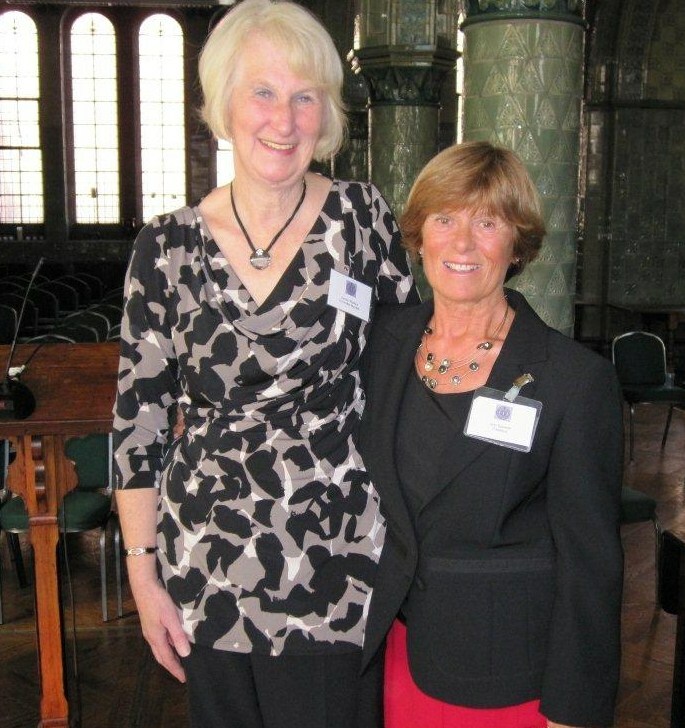 This was Ann`s last year as President and later in the meeting, Ann passed the presidency to Carolyn Rankine. Ann has been President since 2007 and Carolyn presented her with a painting of Parkgate on the Wirral in appreciation of all the hard work, time and dedication she has given to the League. The reunion tea was held, as usual, in the Foresight Centre. “The United Liverpool Hospitals Training Schools for Nurses 1962 – 2012” – booklet produced by the LRI Nurses League and edited by Carolyn Rankine and Mary Newton. The book of photos published by the League in 2008. Retiring President, Ann Spencer hands over the reins to President Elect Carolyn Rankine. The Reunion Service was led by the Rev. Mary Railton-Crowder. Mary then introduced The Rt Reverend Richard Blackburn, Bishop of Warrington who gave the address. Mary later led Prayers which included the prayer which was said every Sunday in the Chapel of the Liverpool Royal Infirmary and The Lords Prayer. 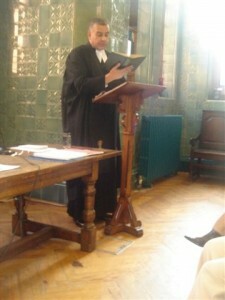 ADDRESS GIVEN BY THE RT. 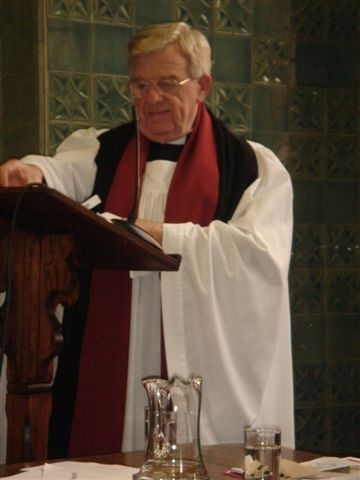 REVEREND RICHARD BLACKBURN, BISHOP OF WARRINGTON. “I nearly didn’t make it.” Who of us hasn’t said that? I thought that would be the case for me this afternoon as, delayed by a two and half hour service in Blackburn Cathedral this morning, I was wondering if I would ever get here anywhere near on time. “I nearly didn’t make it” is something an elderly lady used to say many times as she went around addressing meetings. After the usual polite questions about what it was that had held her up, she would explain that when she was very young, her mother was led off to the gas chambers in Aushwitz, holding her in her arms. At the very last moment, she was thrust into the arms of another with the plea that if this baby could feel the warmth and love of a human being for even another 24 hours, then it be worthwhile. The next day, the camp was liberated. That baby grew up with the resolve to dedicate her life to breaking down barriers between humans, the ones we erect because of colour, creed, class and so forth. She became today’s Good Samaritan. It is a story we know so well, too well perhaps that in our over-familiarity with it we have lost something. I hope you will allow me to re-tell it, briefly, from the point of view of the person who was the object of the Good Samaritan’s charity. What made him stop? I knew why the others didn’t. Even in the state I was in, I could tell from the robes they were priests. I knew then that they weren’t going to be of any help. Hurrying off to Jerusalem for their turn ministering in the Temple, they weren’t going to put that at risk by getting too close to me. I might die, you see, and then they’d be unclean, unfit for their office. Their turn going into the presence of God, taking the prayers and the offerings of the people, would be gone. And social inter-action for both priest and Levite would have been temporarily impossible. It was my own fault, of course. Everyone knows that you shouldn’t walk that road from Jerusalem to Jericho alone. The hills provide perfect cover for bandits. And although I don’t have much worth stealing, I suppose I looked prosperous enough. I had business in Jericho that couldn’t wait, so I took a calculated risk. And I was wrong. If I had died by the side of the road it would have been my own stupid fault. But I didn’t die. Someone stopped, picked me up, patched me up, put me on a donkey and carted me off to the nearest hostelry. When I finally came to, some days later I found that he had paid for my treatment as well. Of course, I wanted to contact him, to thank him But he hadn’t left his name. My host was a bit strange about it all, behaved as if my rescuer hadn’t been entirely welcome. Eventually I discovered he was a Samaritan. So why did he stop? A Jew dying by the side of the road should have been a sight to gladden a Samaritan’s heart. He could have walked by with a clear conscience. But he didn’t. The injured man was brought back to life by neighbourliness that went beyond historic hostility, saved by human charity that sees human suffering and can’t turn its back. Sometimes we question too much what is right instead of simply doing right. The story is also about putting ourselves in the skin of the half-dead, the destitute, the despairing and reminding ourselves there are times when we are there ourselves. It is about realising that our neighbour is the one who is kind to us, regardless of what they may seem to be. In hospital, our only hope is the mercy of another who comes with grace to heal and restore. The Samaritan in the story acts not out of duty but out of common humanity, even though the victim is a foreigner and an oppressor. That can be a challenge to all those in nursing. You don’t get to choose your patient, nor indeed can you be at all certain your patient will be polite or even remotely grateful. Just as the Samaritan was moved by compassion, this must be underlying quality that underpins nursing. With extravagant generosity and grace he undid the violence of the robbers and the neglect of the priest and Levite. So, also, does the healing power of nurses go far beyond the immediate physical illnesses that patients display. When the story was finished, Jesus asked a different question: “Which of these three, do you think, was a neighbour to the man who fell into the hands of the robbers?” The question is not: “Who is my neighbour?” (as originally asked by the lawyer) but “Who was a neighbour to the needy traveller?” To love one’s neighbour is not a matter of establishing superiority. Carer and cared for live in a mutuality of generosity and love. Nurses need patients as much as patients need nurses. Each does good to the other. Both meet in the love of God.In the dark hours of human experience – in hospital and in prison, for example – people need us to minister to their fears so that they learn to find trust, a trust that gives life a meaning and a context that it may have lacked. Everyone is a neighbour when people are in need. Charity begins at home the saying goes. Jesus indicates that it does not. Charity begins wherever there is a fellow human being in need, and has no end. Choosing God means choosing people. Choosing God means choosing any one who needs you. Our challenge is to recognise where we place the limits and boundaries of our own charity and generosity: nursing has many demands but not the least of them is to give and not to count the cost. God’s love and generosity knows no bounds: we give thanks that over 150 years here in Liverpool, so many nurses have not limited their neighbourhood or their compassion. Today we celebrate that you have modelled the compassion of Christ demonstrating that God’s love never quits. At the end of the meeting, our new President, Carolyn Rankine presented Betty nee Eaglesfield with a plant in thanks for all the valuable help she gives to the League. In particular, Betty was a valuable source of information for the booklet, produced earlier in the year, to commemorate 150 years of nurse training. The booklet covered the years 1962 to 2012. All league members received a copy of this booklet. The meeting was opened by Ann Spencer, President of the Nurses League who announced at the AGM that she would be retiring from the post after next years reunion. Vice President and Honorary Treasurer, Carolyn Rankine was proposed and ratified as President Elect. 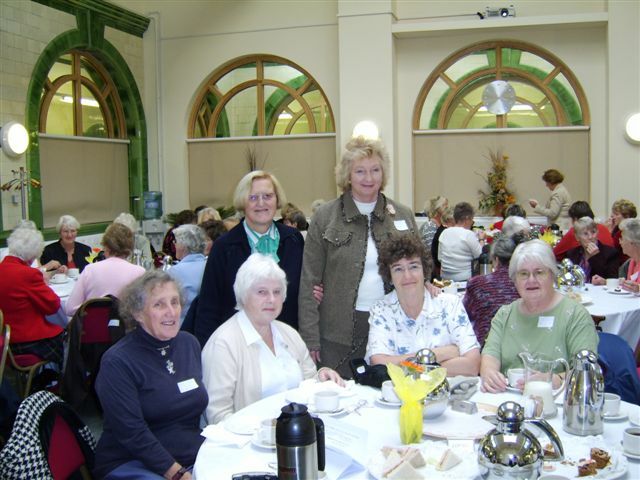 Following the Service and AGM, members gathered in the Foresight Centre for afternoon tea and catching up with friends – maybe not seen since last year or for several years. After tea, members were able to peruse the notice boards before heading home or off for their evening celebrations in Liverpool. 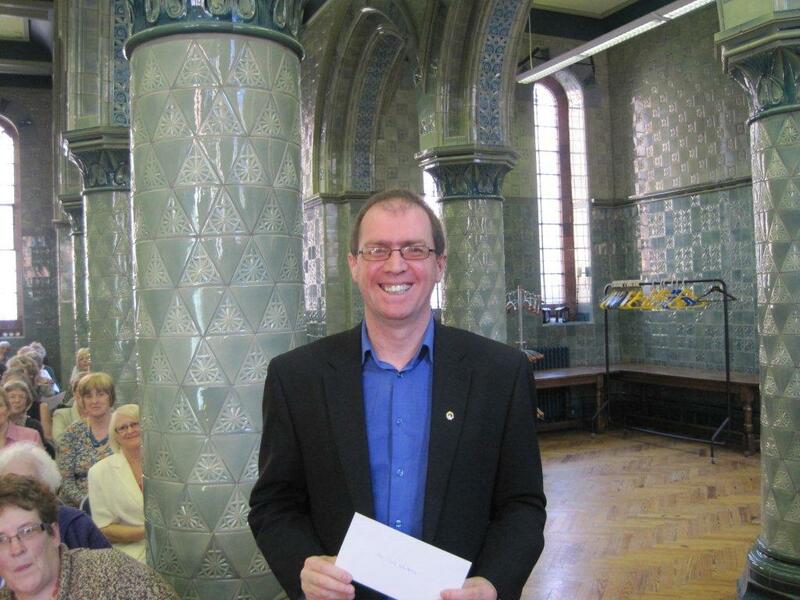 The Address was given by Dr Paul Whittaker OBE. Artistic Director Music and the Deaf. Lay Canon of Wakefield Cathedral. Director of Music, the Parish Church of St Cuthbert, Birkby. Paul, who has been deaf from birth, told us about his life and work with music. His talk was both inspiring and humorous and he received a resounding applause. To find out more about Paul and his work – google Dr Paul Whittaker OBE. Many interesting sites come up, including an interesting YouTube blog. The service was led by Rev`d Mary Railton Crowder, St Cuthbert Birkby and St Philips the Apostle Birchencliffe, Rural Dean of Huddersfield. Committee member of the Liverpool Royal Infirmary Nurses League. About 50 members took advantage of the tours that had been arranged of the refurbished `Old Royal` on the Friday afternoon and Saturday morning of the reunion weekend. 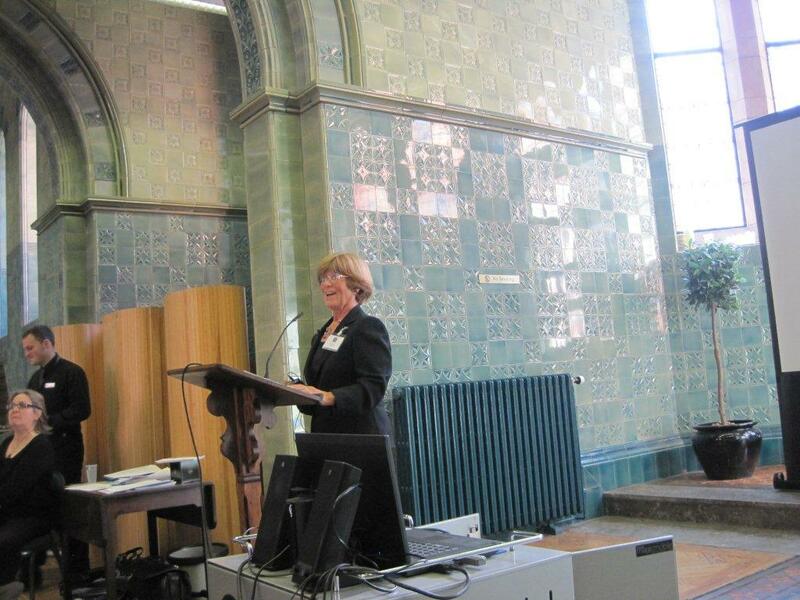 For those who were unable to participate in a tour, Mary Newton, joint Honorary Secretary of the League, made a presentation at the A.G.M of photographs, old and new, of the Liverpool Royal Infirmary. Many of the photos showed the recent refurbishment. 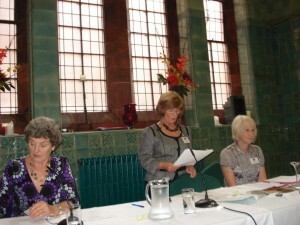 The Annual General Meeting and Reunion of the LRI Nurses League was held on 16 October 2010 in the old chapel of the LRI. 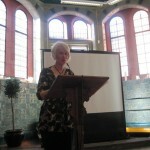 The meeting was opened by Ann Spencer, President of the League. Ann welcomed everyone before introducing Rev. Sally Mason. 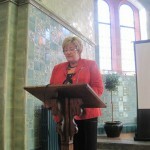 Sally led the Annual Service and gave the address. The AGM followed, after which everyone adjourned to the Foresight Centre for afternoon tea and lots of chat. After tea, members congregated downstairs in the atrium of the Foresight Centre to watch a power point presentation of the renovations to the old LRI (now part of the University). Also downstairs was a notice board with many interesting articles and photos to peruse. The 2008 photo book was available to purchase. Following the Reunion, many year groups went to various venues around Liverpool to continue their `reunions` into the evening. There were several groups celebrating special anniversaries this year. Nurses League members at the reunion in the `old` chapel. Our President, Ann Spencer, addresses the meeting. new Treasurer, Carolyn Rankine, presented her report to the meeting. Accounts were available to every member attending the AGM. Sylvia Lewis was called to adopt the report on behalf of the meeting. 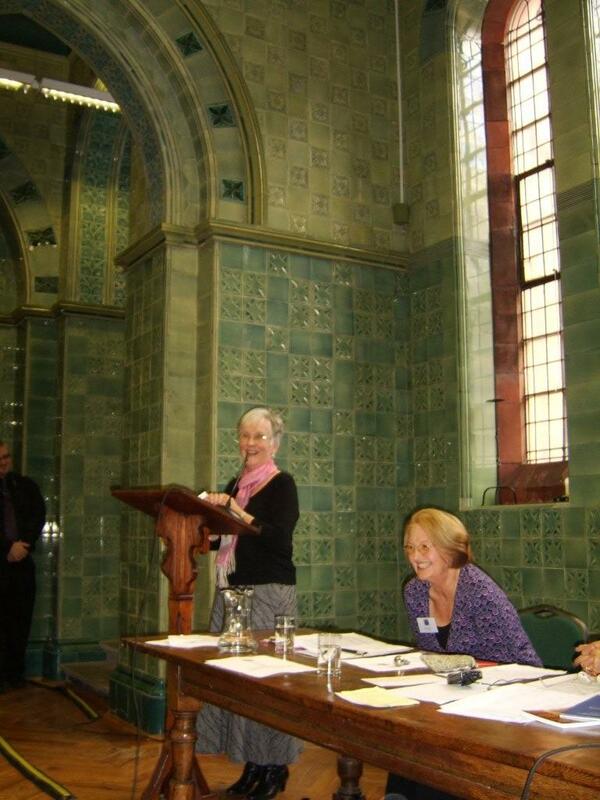 Our Secretary, Moira Featherstone, presented her report to the meeting. Jo Humphries was asked to adopt the report on behalf of the meeting. 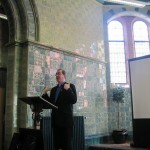 The Annual General Meeting of the Liverpool Royal Infirmary was held in the old Chapel, now part of the Foresight Centre on Saturday 17th October 2009. 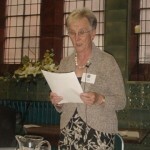 Ann Spencer, President of the Nurses League, opened the 76th Annual Reunion and later addressed the AGM. Canon Paul Nener giving his address at the Service. Paul was a doctor at the Royal before his ordination. Barbara Leech, our Honorary Treasurer, gave her final financial report before retiring from the Executive Committee. 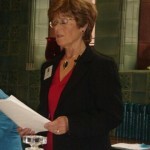 Barbara joined the committee in 2003 and became Treasurer in 2004. Thank you Barbara for all your hard work over many years. Barbara relaxing after presenting her report. Liz Proffitt, Vice President and Honorary Secretary of the League, presented her final report before retiring from the Executive Committee. Liz has served on the committee since 2003, firstly as Treasurer and then Secretary. Thank you Liz for all your work in ensuring the smooth running of the League business and the annual AGM`s. Liz presents her final report. The minutes of 75th AGM held on Saturday 18th October 2008 were adopted as a true record. Sylvia Lewis our Website Editor retired from the Executive Committee after 9 years as a member. President Ann Spencer thanks Sylvia for all her hard work and service to the League. I have been a member of the Executive Committee for nine years it is now time to retire. 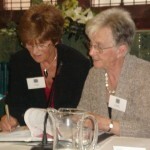 In 2003 Kate Russell and I with the help of Connect Internet Solutions set up the Liverpool Royal Infirmary Nurses’ League Website. I took on the responsibility of running the site and I have done that for the last six years. In 2005 we invested in upgrading the site to increase the capacity and to make some technical adjustments and it is operating well. The League also invested in training to enable me to gain the technical skills required to take the site forward. I have now passed those skills onto Pat Shillington who will be the next Website Editor. I think we have a very professional website one that we can be very proud of. I send best wishes to Pat our next Website Editor. I will still be here if Pat needs any help and I will be sending the occasional article for either the latest news or memories section. May I say thank you for the gift of National Garden Vouchers given to me by the Executive Committee on my retirement. 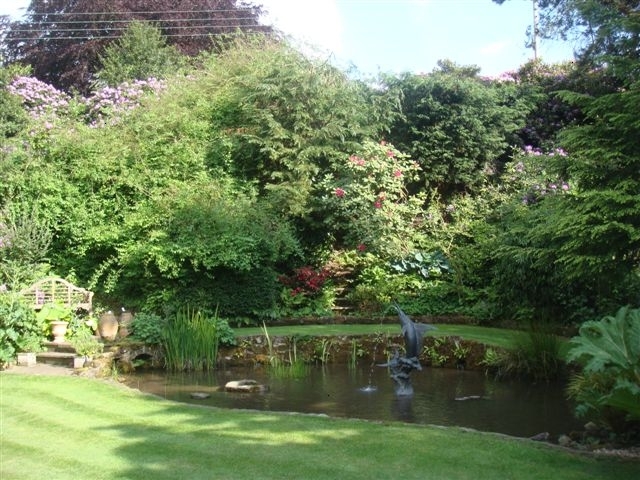 I love my garden and below is a picture of our pond. I am particularly fond of water lilies so I may just buy one! Thank you to everyone and I look forward to seeing you all at the AGM’s. Lynn Westbury, former Business Manager at the Foresight Centre, has been promoted and now works in the Corporate Communications Department of the University. Lynn has been invaluable to the Nurses League since the annual reunions returned to the `Royal` in 1998. In appreciation of all she has done for the League, Lynn was invited to join us at the end of the meeting for a small presentation. Thanks Lynn for being there for us over the years – we will miss you. Good luck in your new role. Good Afternoon Ladies and welcome to the Annual Reunion Service of the Nurses` League. I would also like to welcome the Reverend Stephen Brooks, Rector of Liverpool, who will be conducting our service this afternoon. Kate Russell was to retire as President at the end of this meeting. Following her death, Ann Spencer, as Vice President took over in the interim. At the last Executive meeting the Committee elected Ann to become our President. We hope this meets with your approval and I would now like to ask Ann to formally accept the position and chair the Annual General Meeting. I am delighted to accept the role of President of the Nurses` League. I feel very privileged to follow in the steps of previous distinguished Presidents and I never dreamt that one day I would be standing here in this position. I realise I have a great deal to live up to and I will do my utmost to maintain the values and traditions of our League. It is with great pleasure that I welcome you all here today, to the 74th Annual General Meeting of the LRI Nurses` League. It is lovely to see so many people here and I do hope you enjoy the afternoon, particularly those sets celebrating special anniversaries. 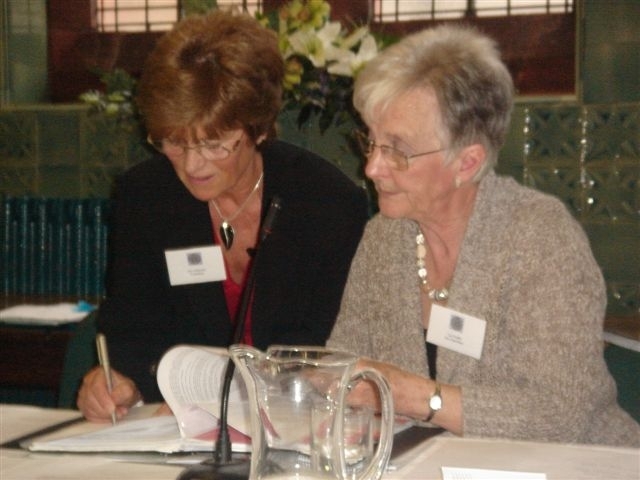 At this stage, I would like to pay tribute to Kate Russell, our former President, who died in July, after a relatively short illness.Kate had been a member of the Nurses` League since qualifying in 1965. She was elected to the Executive Committee in 1999. 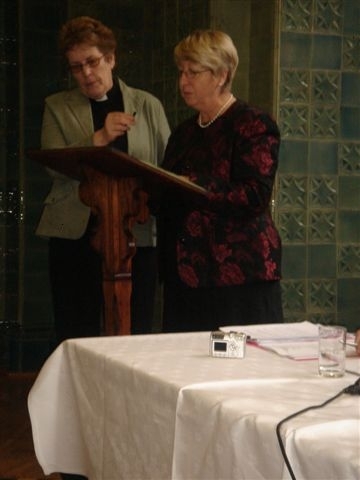 During her term of office, she was Treasurer and Vice President, before becoming President in 2003.As well as her enormous contribution to the League, Kate had a remarkable career and I thought I would mention the significant aspects, some of which I extracted from her Vignette, in the 2004 Journal. Kate was a Theatre Sister at the Royal for some years, before she pursued a career in teaching. After completing a Clinical Teacher`s course, she went to Manchester University to study for an MSc, with a special option in education. Following this, she became a Lecturer in the University of Liverpool, Department of Nursing, teaching on a new course for a combined BSc and RGN qualification.As I recall, Sister Eaglesfield – now Mrs Hoare, had previously been involved in the proposals for this course. Kate was appointed the first Professor of Nursing in Liverpool in 1988 – a remarkable achievement. I well remember her inspiring inaugural address, when she emphasised her particular interest in developing and promoting the advancement of nursing practice. In 1994, Kate was awarded a travel/study scholarship by the Florence Nightingale Foundation, to look at Post qualification education in the USA and Canada. 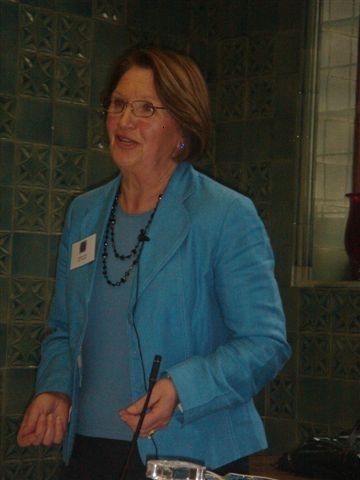 This experience proved invaluable in developing further Degree courses in Liverpool, including a Degree programme for District Nurses and Health Visitors.She also assisted in the development of a degree course, for the University of Malta and she became an external examiner, which she found most stimulating and rewarding. 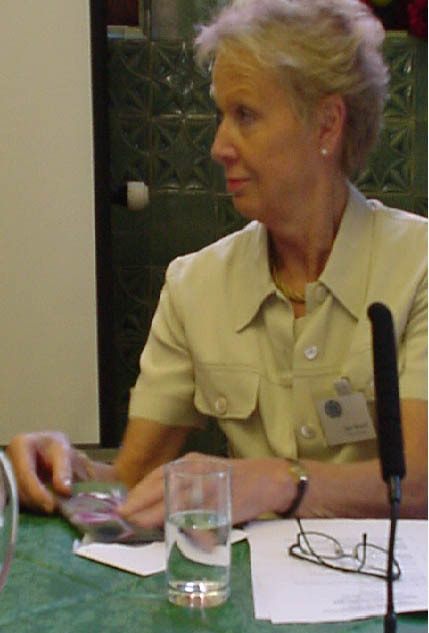 Kate retired in 1997, soon after her marriage to Tony Russell, and she became Emeritus Professor of Nursing. She continued to maintain her academic interests by auditing Nursing Degree programmes and acting as an external Examiner for other Universities. There is no doubt that Kate had a most impressive career and she was highly respected by her colleagues, both within the University and Hospital settings. Her leadership qualities, her drive and enthusiasm, were an inspiration to all those who worked with her. During her time at the University, Kate was always willing to assist the Nurses` League. When the League was unable to continue to hold the Annual General Meeting at the College of Nursing, Kate arranged with the Committee, for our meetings to be held in the Science Building, within the University. This situation remained until we returned to the Royal in 1999 and I know how much, Miss Haynes and the Committee at the time, appreciated her input. Following the closure of the Royal and the other main hospitals, a ULH Nurses` League, was formed and Kate was a Committee member for sometime, until it disbanded in 1992. She was asked to assist the Officers of the Executive Committee, including Miss Ruth Halsall and Jean Woods, in the planning of a Millenium Project, which resulted in the establishment of a Bursary – now called a Travel Award. Also, in the creation of two prizes in memory of Miss Mary Jones and Miss Rebecca Haynes. 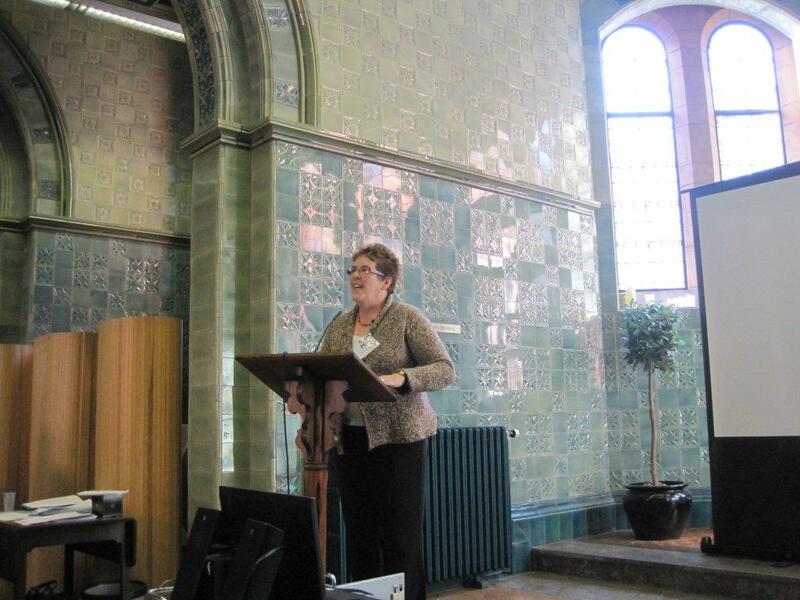 Kate gave a presentation at the 1991 AGM, when she described a project she was involved in, relating to an Oral History Archive of Nursing on Merseyside. 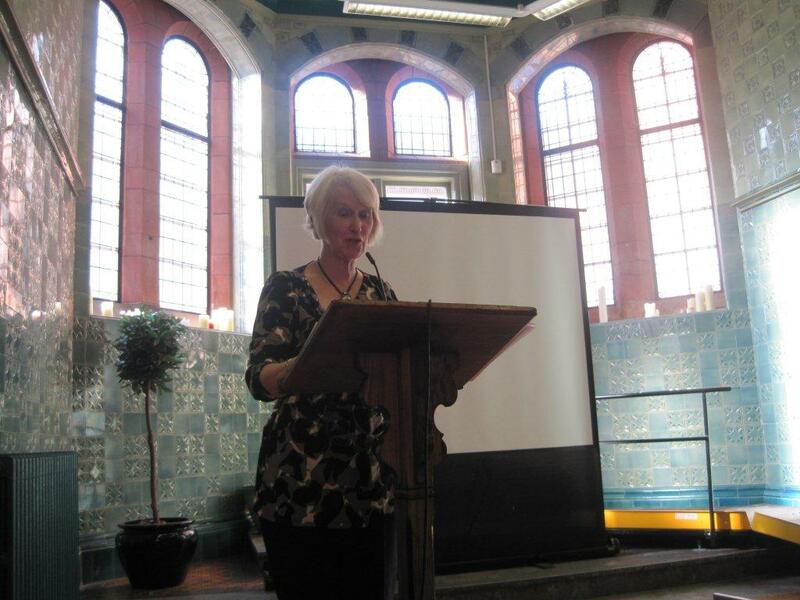 The League had donated £1000, towards this project, which was a joint initiative between the Department of Nursing and the Archive Department in the University of Liverpool. She wrote a chapter in a book entitled `Nursing Memories`- from Probationers to Professors, which was published in 1994. The chapter `Journey into Academia`, is an interesting read, as are other chapters, including one by Betty Eaglesfield (Hoare) called, `Reflections on a Nurses` League`, which gives an insight into the background of our League. I would imagine many people here today, will have seen or read the book. Kate was a loyal member of the Nurses` League and I am sure we are all grateful to her for her enormous contribution and unstinting support to the League, over the years. As President, Kate, was such an inspiration to us all on the Committee agree. We admired her enthusiasm and her commitment and we will and I am sure previous Committee members, who worked with her, will miss her presence enormously. She remained positive and optimistic, even to the end of her life. Five days before she died, she told me that she hoped to be at our meeting today and if not she would send a message. Sadly, due to her untimely death, she wasn’t able to fulfil either of these wishes. I felt most honoured to be asked, by Tony, Kate`s husband, to give the Eulogy at a service to celebrate her life, having known her for 45 years, initially as a colleague, and then as a good friend. Most of the Committee attended the service, some of them being the same set as Kate. 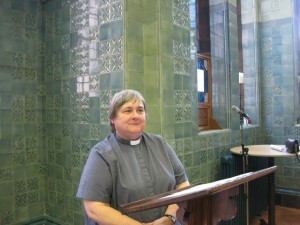 Along with her family and many friends, other League members and University colleagues, also attended the service. She was a truly exceptional person, who will be missed so much by those of us who knew her, whether friend or colleague. Kate always remained loyal to her Training School and in her Vignette, she stated: `It is apparent that whilst you can take the nurse away from the Royal, you cannot take The Royal away from the nurse`. Now that the dust has settled after Christmas I thought it would be a good idea to wish all members a Happy New Year before it gets too late. Furthermore I thought it would be an opportunity to provide those members who were not able to come to the AGM and reunion, with an update on committee changes. We had a very good meeting in October with approximately 130 members attending. You will see from pictures on the web site that the glass plaque we commissioned featuring the distinctive Royal Infirmary badge was received into the chapel. Prior to the service it was dedicated by the Rt. 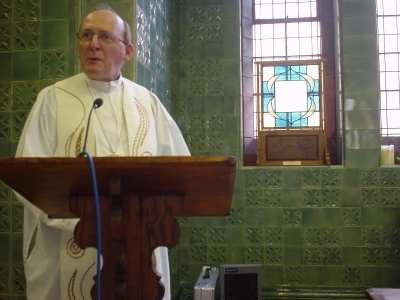 Rev Tom Williams, Auxillary Bishop of Liverpool. We deliberately kept the business part of the meeting as short as possible to enable members the maximum amount of time to catch up over tea. We hope members felt this was appropriate but please let us know if it was too hurried. We said farewell to two committee members; our editor Dot Williams and secretary Mary Taite, both of whom had served the League admirably during their term of office. We welcomed three new committee members Pat Shillington, Pat Lambert and Heather Innes. We had our first meeting of the new committee in November when the responsibilities of committee members were agreed. Liz Proffitt has become our new Honorary Secretary, vacating her post as Honorary Treasurer to which Barbara Leech has been appointed, assisted by Pat Shillington. Sue Connolly has agreed to be Assistant Honorary Secretary. Ann Spencer has agreed to be Journal Editor for a year as well as Vice President. We have agreed to have two Assistant Editors this year in anticipation of one of them taking over next year; these being Pat Lambert and Heather Innes. Sylvia Lewis remains our Web Editor and Gwen Morland and Sheila Jones remain as Press Officer and Assistant respectively. This way every member of the committee has a job. Our first meeting was very lively as you might imagine. The main and most important task confronting us is to appoint a new printer for the journal as the former printers have closed their operation in the Wirral. We are currently awaiting the estimates from a number of companies we have visited. We wish to have as good a standard as we have previously enjoyed. I hope this brief message serves to keep members informed. We are wanting to encourage members to use the site to give us news so please do make contact. 125 members were present at the reunion which began with a short service. A PRAYER, which was said every Sunday in the Chapel of the Liverpool Royal Infirmary. Remember, 0 Lord we beseech Thee, the work of all nurses throughout the world, especially those members, past and present, of this Hospital. Grant that their influence, wherever they may be may uplift mankind to a higher level, and also that their skill, sympathy and patience may alleviate pain and suffering. Guide, we pray Thee, their goings out and their comings in, and foster among them always the spirit of fellowship and love.Through Jesus Christ our Lord. Amen. 2. Apologies and greetings received are posted on the notice board. 3. Adoption of the minutes of the 72°d Annual General Meeting held on Saturday 17th October 2005 4. President`s Remarks. Before the meeting there was a short slide presentation by Henry Gun-Why showing the current progress with refurbishing the Royal Infirmary buildings and proposals for 2008. 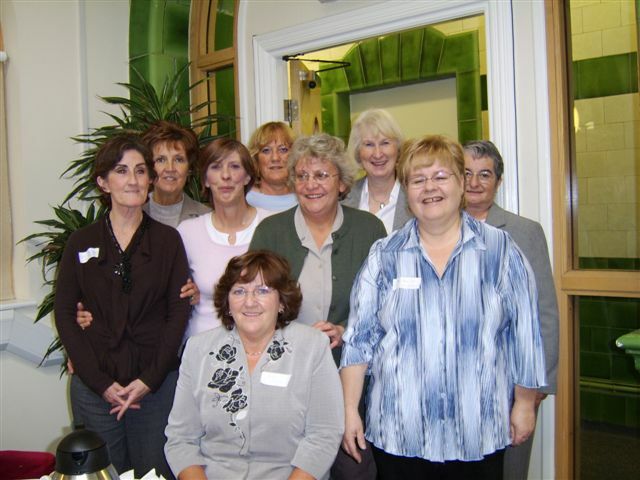 THE 72nd ANNUAL GENERAL MEETING OF THE LIVERPOOL ROYAL INFIRMARY TRAINING SCHOOL NURSES LEAGUE HELD ON SATURDAY 15th OCTOBER 2005 IN THE FORESIGHT CENTRE UNIVERSITY OF LIVERPOOL. The President (Kate Morle) welcomed everyone. She explained that there were some visitors attending who had never been members and whom she hoped would subsequently wish to join the league. She asked us to remember the following league members and ex colleagues whose deaths have been notified to us since the last reunion. Apologies and greetings received. 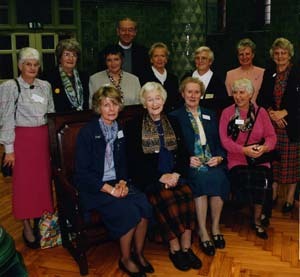 Jean Ballantyne, Gwen Cuss, Daphne Cunningham, Monica Davies, Dorothy Gornall, Jackie Heatlie, Sheila Jones, Sylvia Lewis, Doreen Macauley, Patricia Mann, Elizabeth Mawdesley, Gwenda Pratt, Pauline Price, Mary Railton-Crowder, Alison Rostance, Ros Shannon, Gillian Vernon, Megan Williams, Elspeth Yule. Adoption of the minutes of the 71st Annual General Meeting held on Saturday 16th October 2004. The minutes were adopted as a true record. It has been quite a busy year for the committee. We have met on four occasions for full committee meetings and have had a few extra working group meetings to address specific matters such as our membership and to visit prospective printers. We continue to meet in accommodation in The Brownlow Hill Group Practice and Barbara Leech has kindly hosted our informal meetings. New committee members have readily taken up their new jobs. Heather Innes and Pat Lambert have assisted Ann with the journal and Pat Shillington has worked with Barbara as Assistant Treasurer. At the beginning of the year we were confronted with a number of issues to address not least that of securing fairly promptly a new printing company to take on the journal. We sought several quotes and visited two sites before deciding on D.B. Printers in Hoylake. I am sure you would wish me to congratulate and to thank Ann and her co-workers, Heather and Pat on compiling such an excellent journal this year. They really have done a wonderful job. Ann has commented on a number of occasions just how helpful the staff at the printer`s have been, so I think we have made a good choice and hope that they will be happy to do the work for us for some considerable time in the future. Anne has amazed us all with the way in which she has tackled many very complex computer skills in the process of producing this year`s journal due to the fact that the journal had to be re formatted from scratch. The task of determining our precise membership numbers and subscription status has been finalized. Liz and Barbara have worked very hard on this task together with help from Ann and Sue regarding members and their addresses. It is very important for us to be clear as to the income we can expect through subscriptions in order to run our organization and to fulfill our charitable efforts. Barbara and I were involved in refining the regulations for the Travel Award, formerly the Bursary, as this was due to be offered this year. With help of Dr Maria Flynn, Head of the Nursing Division of The School of Health Sciences, the methods regarding advertising the timing schedule, and selection criteria etc, were determined. 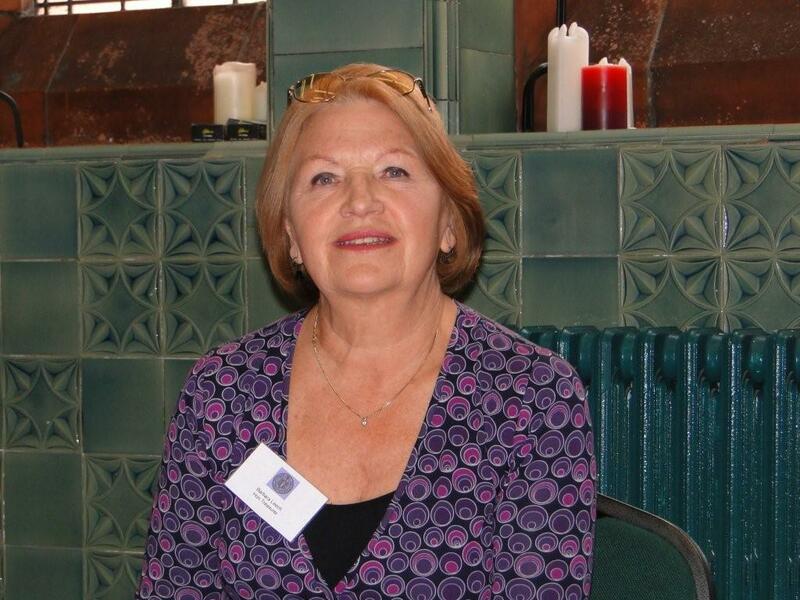 An interview panel of four, including Barbara and I met on 25th July and I am pleased to tell you that we have awarded Susan Redfern the Travel Award for 2005. Susan is currently a Matron in the Regional Tropical and Infectious Disease Unit in The Royal Liverpool and Broadgreen University Hospital. She has had 24 years in this field starting out as an SEN and working onwards and upwards. 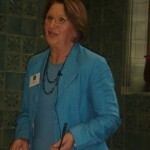 She is currently the chairperson of the nursing section of The British Infection Society. She will be going out to Sri Lanka later this year to promote, develop and plan the long term training needs in this field whilst at the same time obviously augmenting her own professional development. Links with British Council or other similar organisations are anticipated in order to facilitate an exchange programme between Sri Lanka and Liverpool. The award will fund her up to the level of £1000 and additional funding will come from other sources. At a time when we hear less than complimentary comments about care provision it was a most uplifting experience partaking in the selection process and witnessing the enthusiasm of the candidates. We will look forward to reading about Susan`s experiences in next year`s journal, as it is a requirement of successful candidates to submit a report for publication. From time to time the issue of Gift Aid has been raised and Pat Shillington has been looking into this. After taking a number of factors into consideration and following discussion with our accountant it was felt that this would not really be worthwhile so we have decided not to go down this route at present. This really brings me to the point of our benevolent activities, which I feel is an area in which we seem to be less active than we might be. Not that we have vast funds to make great gestures but we can contribute to the comfort or well-being of nurses who are perhaps ill or in a nursing home. We are reliant upon you as members contacting us with details of anyone who might come into this category. Please do contact any member of the committee directly or use the Internet site with information as to whom we might assist. During the course of the year our accountant, Tom Singleton, left Youds, Ellison and Co, the company that has audited our accounts. I am pleased to say that the company are still willing to act for us. Sylvia continues to do sterling work with our Internet site and as a consequence of her expertise we save a considerable amount of money. However we would like to see more use made of the site. Whilst we know a very great number of people visit the site we are not receiving as much information from members as we had hoped. So please do come forward with news which we can display. We had an interesting contact during the course of the year when we received, via the website, a letter from the son of an ex Royal nurse offering us photographs he had come across which we might be interested in. Sylvia has subsequently followed this up. At this point I would like to stress the point that we would welcome any photographs regarding the Royal that you would like to send us. These we could use in future journals or if we had sufficient we might consider compiling them into a booklet for publication, which would make quite an interesting, project for the future. We have had more photographs in the journal this year which, judging by comments we have received, are well appreciated. Lynne Westbury has recently approached us regarding another project that she is hoping to gain funding for and pending that she would like our help. Many of you will remember numerous brass plaques on the wards reflecting the fact that different benefactors had endowed certain beds to the hospital. It is hoped that these can be photographed and that information can be gained such as where they were located, the history related to those who donated funding etc. Lynne is hoping we will be able to assist in this research. Hopefully we shall have more information by the end of the year. We shall probably circulate information on the website as well as through the journal .It sounds a very interesting project and I am sure we will assist as best we can. Photographs seem to becoming increasingly more important. During the year we had a query from one set that were celebrating a special reunion asking whether we had something specific to the league available for such occasions .As we did not Ann explored with the printers the possibility of copying an old picture of The Royal Infirmary which appears on a booklet produced for The Foresight Centre. As a consequence we have had postcards printed, which can be purchased today at a cost of 50 pence a card. We also have copies of the booklet, which can be purchased for £1. We will have these available for sale whilst we have tea. Another query we have recently received is from a member of the university staff, Diane Mc Donald, who is seeking to make contact with a person she thinks was called Sister Alison who looked after her when she was in hospital intermittently between 1967-69 in Myrtle Street. She had an ENT problem. Things are a little vague as we are not sure whether she was in the ENT Hospital or the Children`s Hospital. Or whether the person she names was a sister or charge nurse as she simply recalls a blue uniform. So if anyone can help it will be welcomed. Again please let one of the committee know if you can help. Finally today we say goodbye to three valued committee members, Sue Connolly, our Assistant Honorary Secretary, Gwen Moreland, our Press Officer and Sheila Jones our Assistant Press Officer. During their time on the committee they have worked with enormous enthusiasm and contributed greatly to the efforts of the committee in serving the League. On behalf of the membership I would like to thank them for their work and personally I would like to thank you for your support whilst I have been President. We have approached some members who we thought might be willing to serve as members on the committee and I am pleased to say that Mrs Mary Howe nee Harrison CT 1961 has agreed to come onto the committee. Unfortunately we are still two members short and I so I am now requesting volunteers. I would like to reassure you that the task is not onerous in fact it is quite fun. There is a great sense of friendship and camaraderie. There are normally no more than four meetings a year. The committee shares the work equally and there is a great sense of cooperation and fun. So amongst us are there two people who would like to come forward. I think I have probably already taken up too much time but I hope you can get a feel for the diverse nature of our work and a feeling for the importance as a resource that our organisation is. Honorary Secretary’s Report Madam President, Ladies and Friends Firstly I hope that asking you all to sign in has not caused too much congestion at the door. I still don’t know everybody’s face and it will be easier for me to check if anyone failed to attend. We have a number of ladies with special reasons for attending today Ann Hanning and friends celebrating 50 years since commencing training in August 1955 and Edwina Fysh representing the April 1955 set. Sue Connolly and friends celebrating 40 years. I would also like to welcome three new members who joined the League last month and are attending today. Kathleen Ireland, Jean Overton, and Gwynneth Webster. Two of our committee are unable to be with us today. Sylvia Lewis our Web site editor is currently recovering from her second knee replacement and Sheila Jones father is in intensive care. Rev Mary Railton-Crowder was hoping to attend this year but now finds that due to work commitments she has had to change her plans. She has offered to visit sick or elderly members living on the Isle of Man if we get in touch with her. Other apologies are posted on the notice board in the reception area. Greetings have been sent to two of our oldest members who are unable to attend. They are Lilian Gale, and Olive Edwards. Both now reside in Nursing Homes. Lilian lives on the Isle of Man and we made contact with her before we printed the photo in the Journal. Ann Spencer received a letter back written on her behalf to say that she was now 95, physically fit for her age but getting a little forgetful. She sends her good wishes and fond remembrances to all members of the League. Current membership stands at 497 which includes 203 life members and 294 general members The committee have met five times since the last reunion and are continuing to work well together ably led by Kate. Flowers have been sent to three members in hospital, and cards to other members who have been ill. Please continue to notify us of any illness of members. We continue to seek new committee members as and when current members retire and would welcome the support from anyone who is interested. Our thanks go to Lynne Westbury and her staff at the Foresight Centre who have again been most helpful in making today’s arrangements go smoothly. Lynne has put the photo display in one of the ground floor rooms again this year, so if you have not seen it please have a look before you go upstairs for tea. Thank you to Heather Innes who has arranged the flowers. Heather is a flower club member and I think it was a great relief to other members of the committee when she offered to do all the flower arrangements herself. We hope that you were pleased with this years Journal which came from new printers in West Kirby. Ann Spencer, ably assisted by Pat Lambert and Heather Innes have done an excellent job in compiling text for inclusion. Judging by comments sent to Ann the journal has been well received. Our plea for the whereabouts of life members whose address had been lost resulted in finding one person. We will continue to print names in future journals in the hope that more members may come to light. The Address book will be printed again next year. 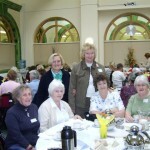 Forty ladies enjoyed the reunion at Portmeirion this year. The next one will be on Thursday 22nd June 2006. Details are printed in the Journal. This has been an interesting first year for me having swapped hats so to speak as I was Treasurer last year. I would like to thank the rest of the committee for their help and also Mary Tait the retiring secretary who passed everything on to me in good order. My texting and e-mailing skills are improving beyond measure. Finally I would like to read a paragraph from a letter received yesterday from Doreen Macaulay who should have been celebrating 50 years with her colleagues but had to cancel at the last minute. “ August 8th 1955 we arrived at Woolton PTS to be met by Laura Jones. The four subsequent years of second to none training, and friendships made are etched on me as indelibly as the wrinkles that have followed. I am so sad that I am not with my group celebrating 50 years that have passed since that day. My love and very best wishes to you all”. Date of the next meeting Saturday 21st October 2006 There being no other business the meeting closed at 3.30 p.m. THE ADDRESS WAS GIVEN BY JOHN LANSLEY Methodist Minister, former Lecturer in Social and Health Policy, University of Liverpool. This was our 70th Anniversary. 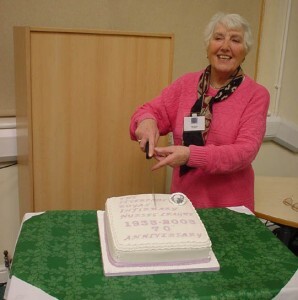 A celebration cake was cut by President Jean Woods. 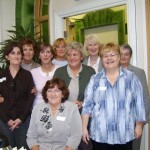 In October (1995) 195 members of the Liverpool Royal Infirmary Training School Nurses` League met at the old Liverpool Royal Infirmary Building (now the Foresight Centre) for the 65th anniversary of its League`s founding. The league was established in 1933 by the then Matron, Miss Mary Jones, who retired in 1947 and was granted an honorary MA by the University. Membership of the League, which was founded to keep nurses in touch with the training school and to form a bond of union between past and present nurses, co nsists of nurses who trained at the LRI and currently stands at 500 members. They met annually at the LRI until shortly after the hospital closed in 1978 and, although they have continued to meet each year, this is the first time that the League has returned in almost 20 years. Members came from throughout the UK and from as far afield as Canada, South Africa and Switzerland. The visitors were impressed with the transformation of the once derelict building and their day including the unveiling of a plaque commemorating the 65th anniversary of the League.There was an address by Canon Goodchild, followed by a talk by Henry Gun-Why and Pat Seller of Buildings and Estates. 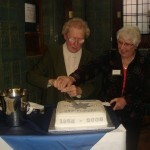 The visit ended with refreshments and the cutting of the reunion birthday cake.